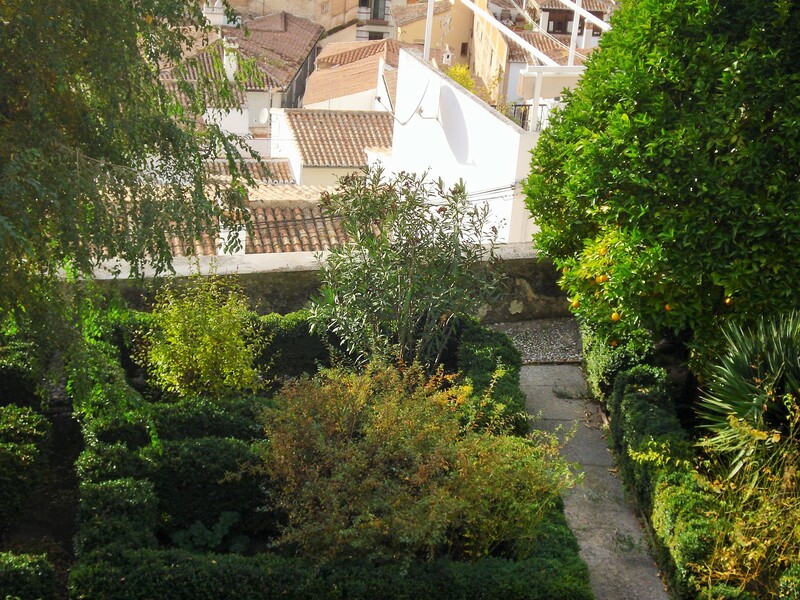 The old city of Cadiz is a peninsula bordered on three sides by the ocean and on the land side by walls, with the modern Cadiz having expanded passed those fortifications. 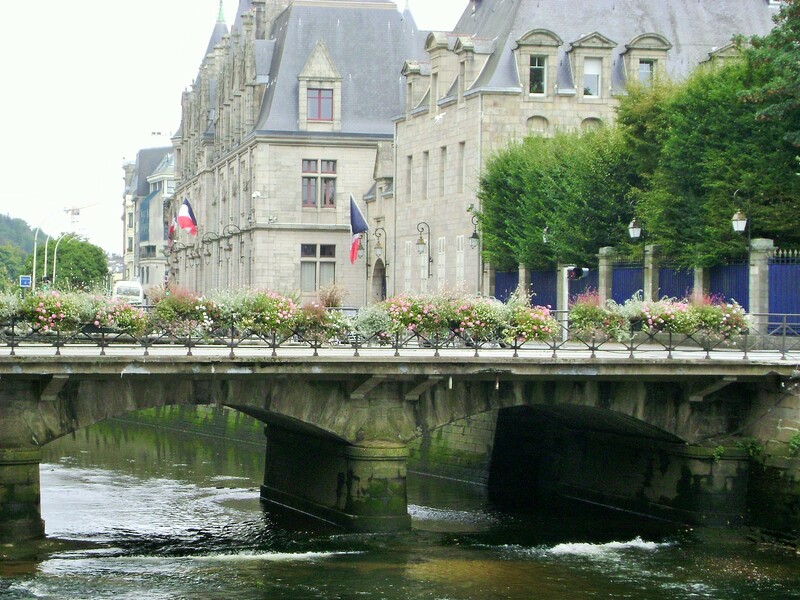 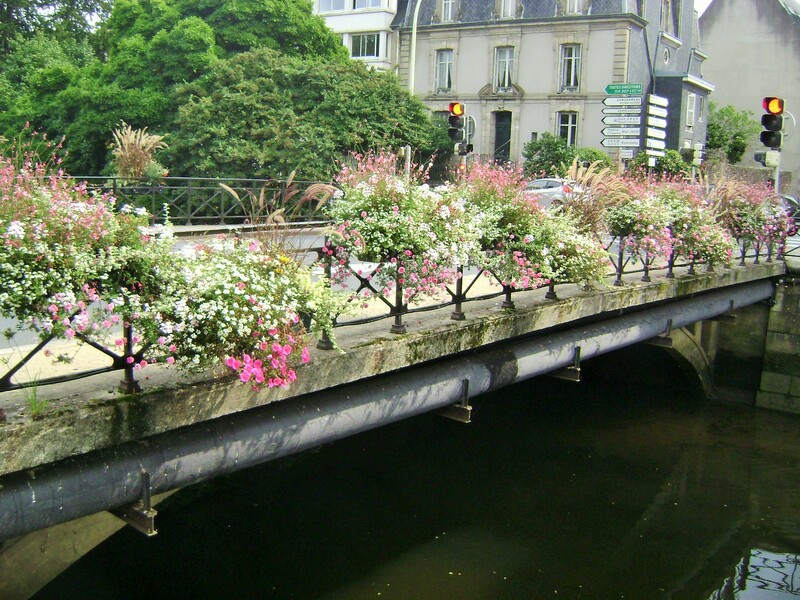 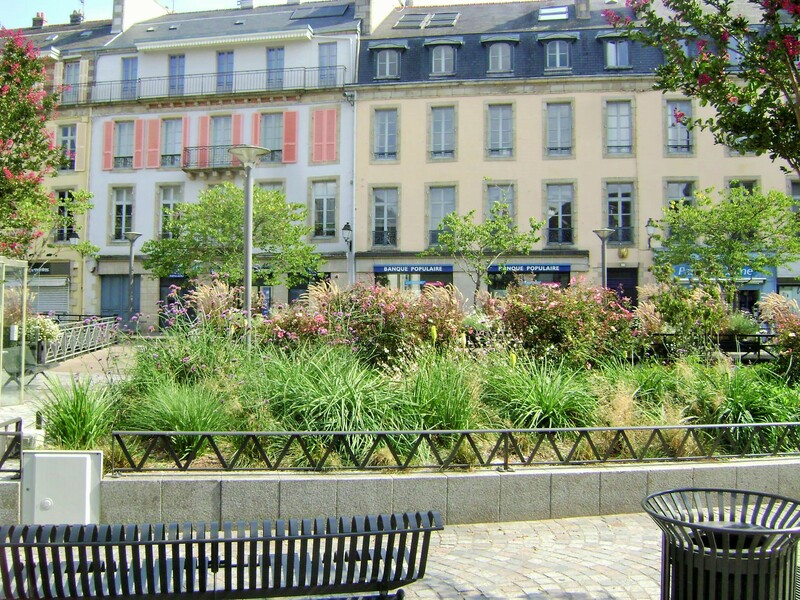 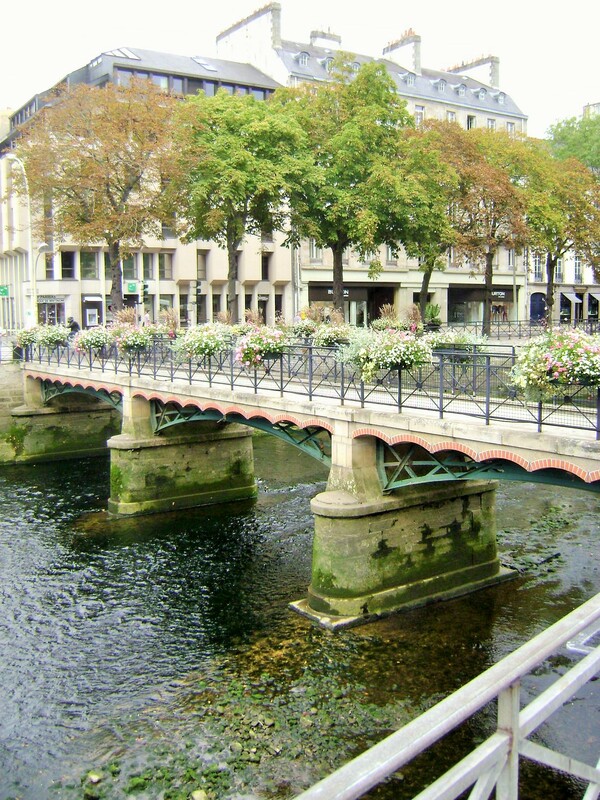 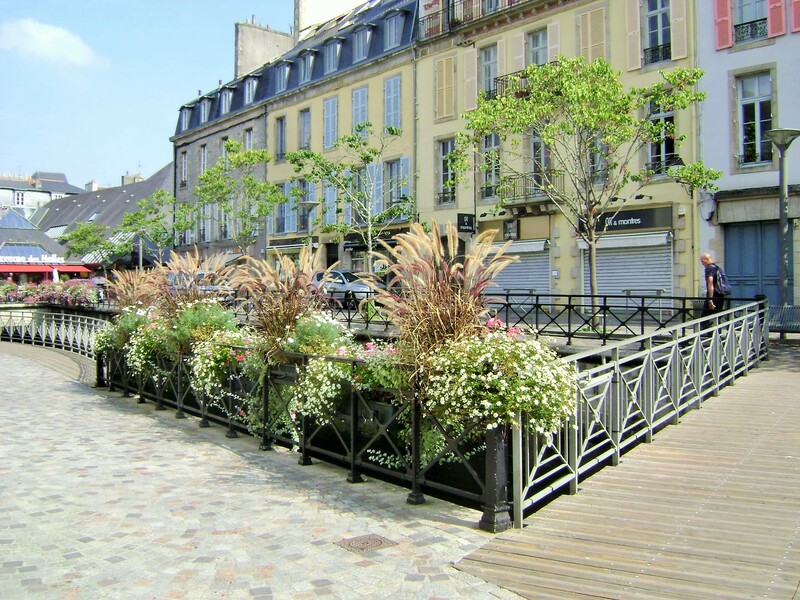 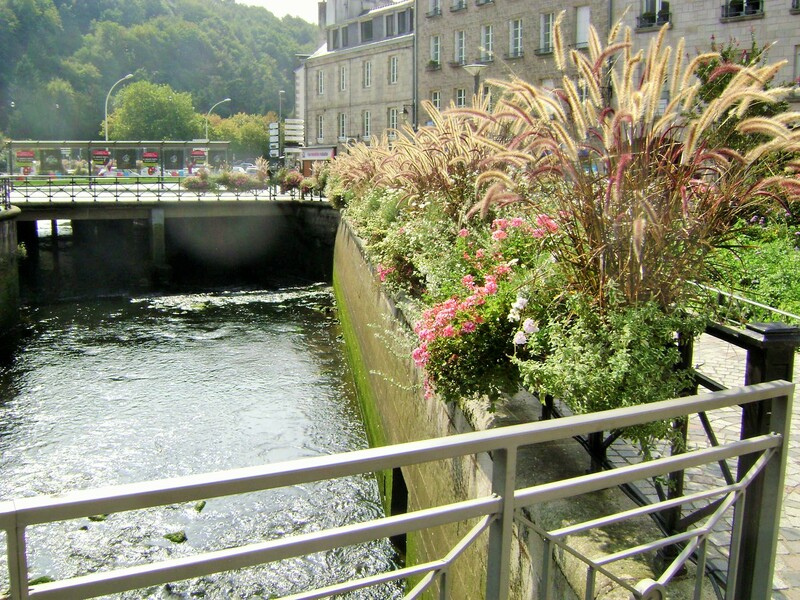 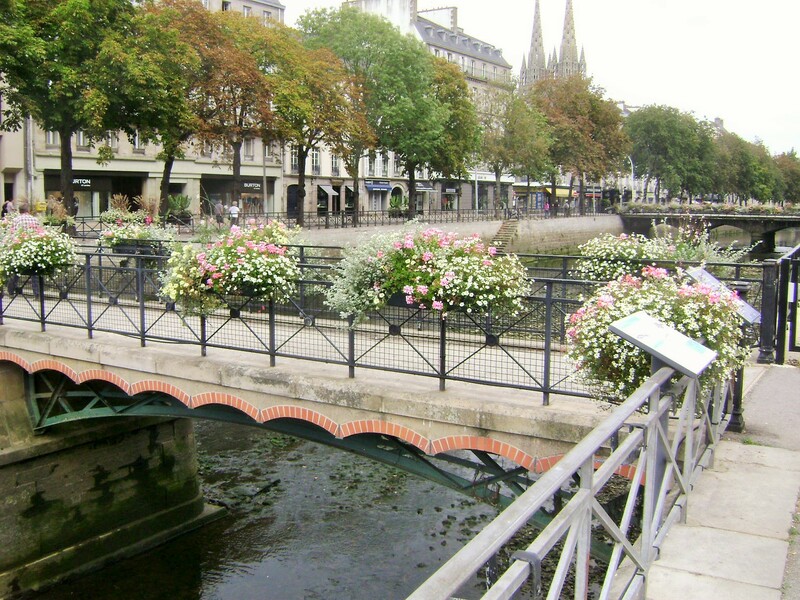 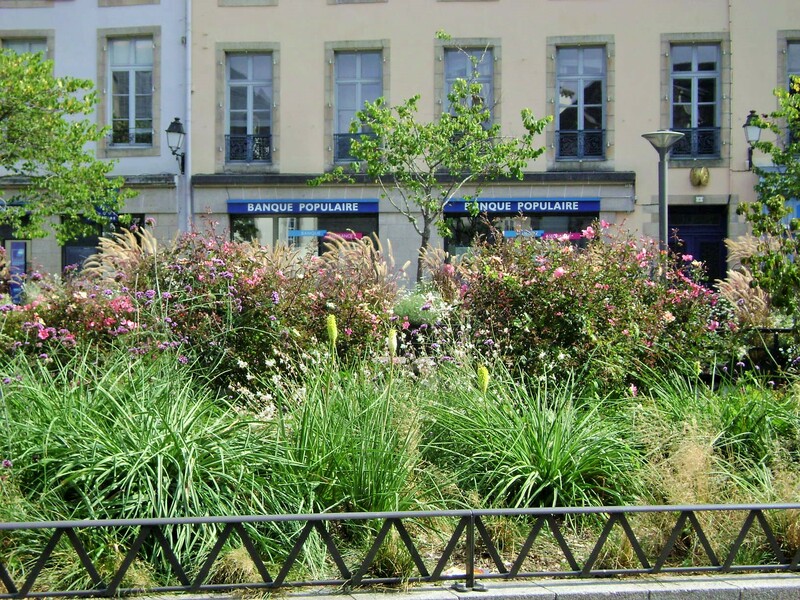 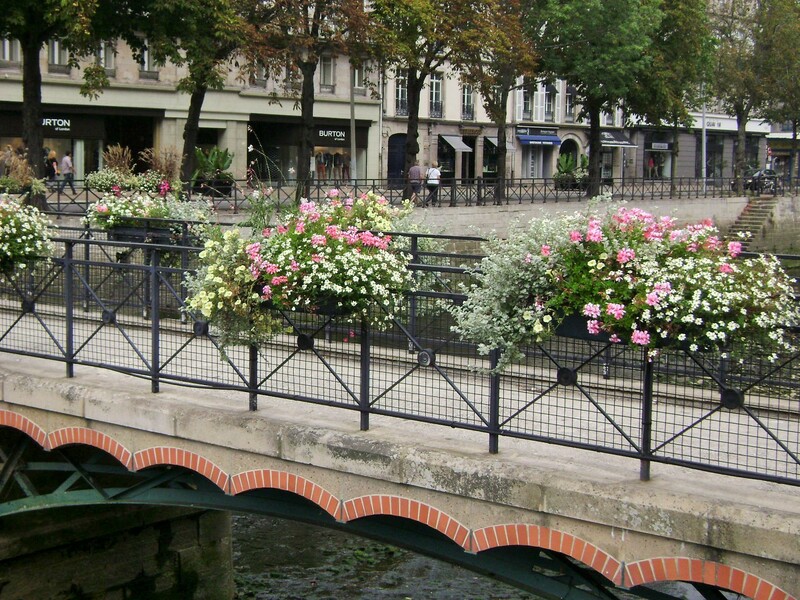 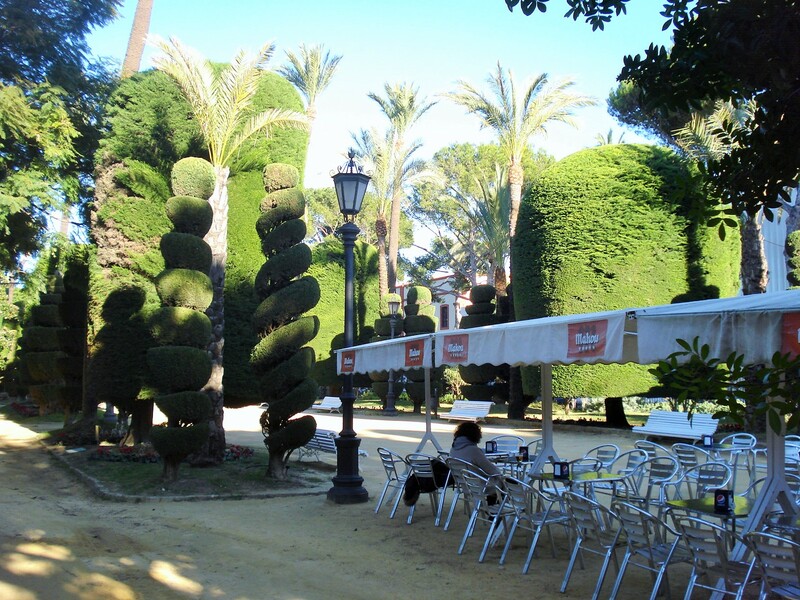 This charming walled city is a compact maze of narrow streets, mostly pedestrian, but dotted with squares, and plazas, and of course the beach and promenade give it a pleasant open feel as well. 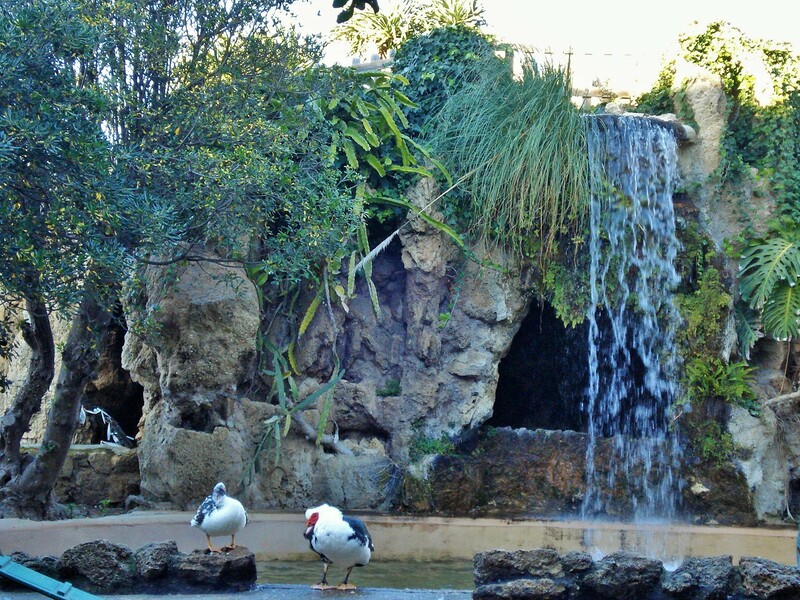 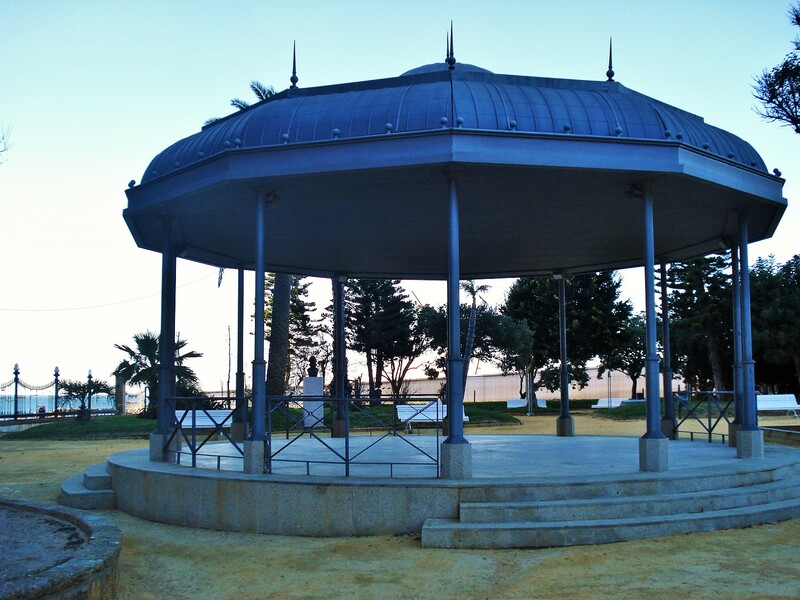 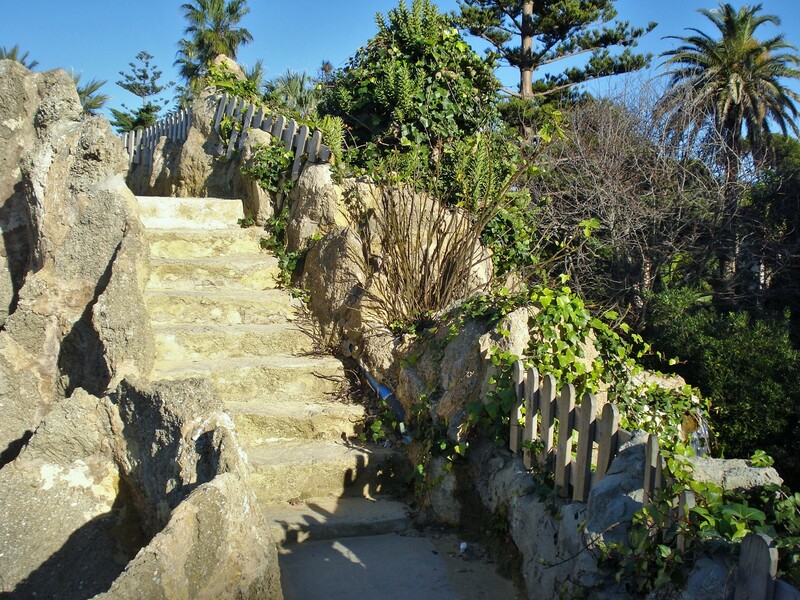 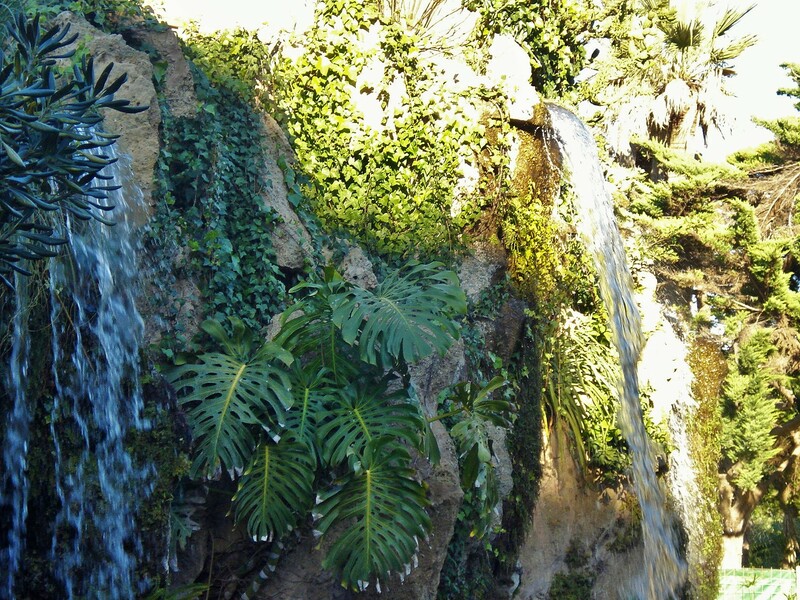 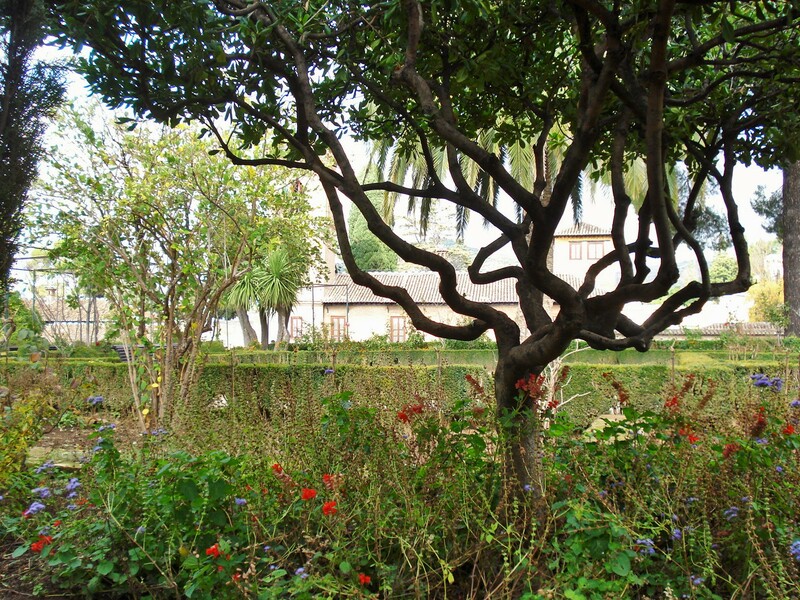 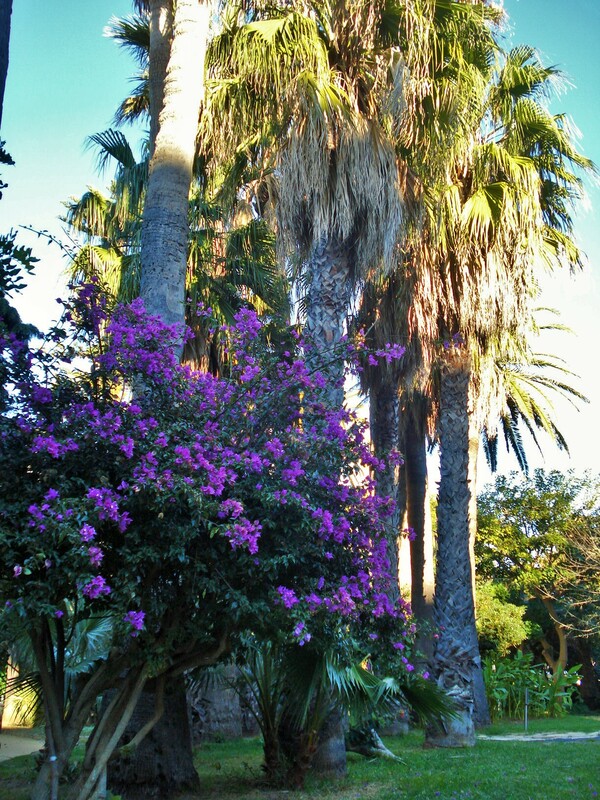 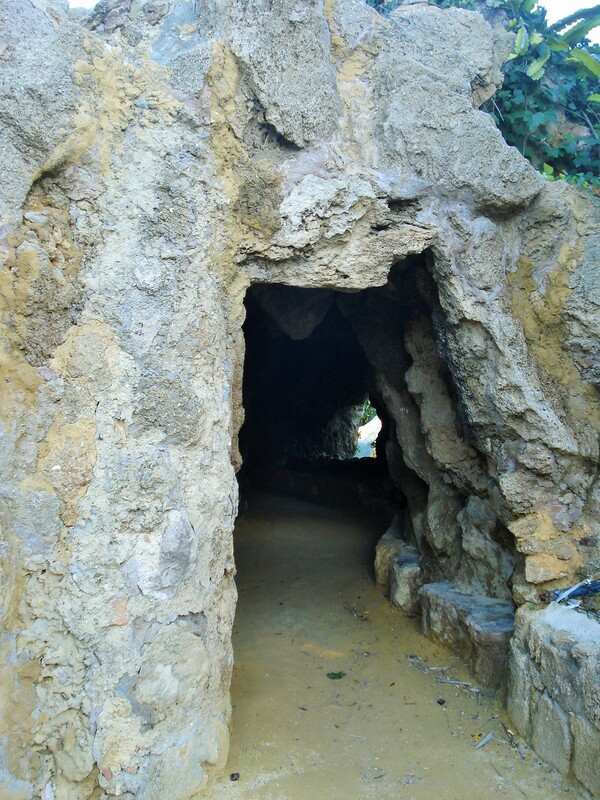 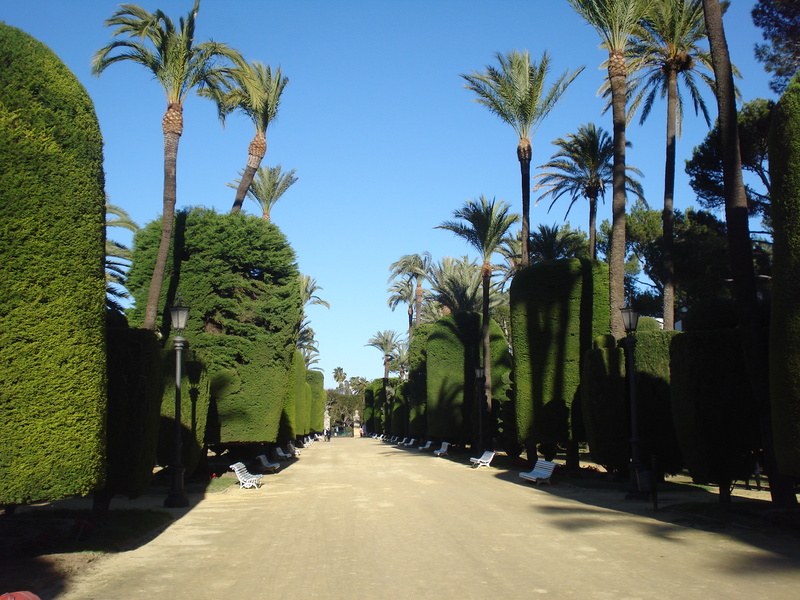 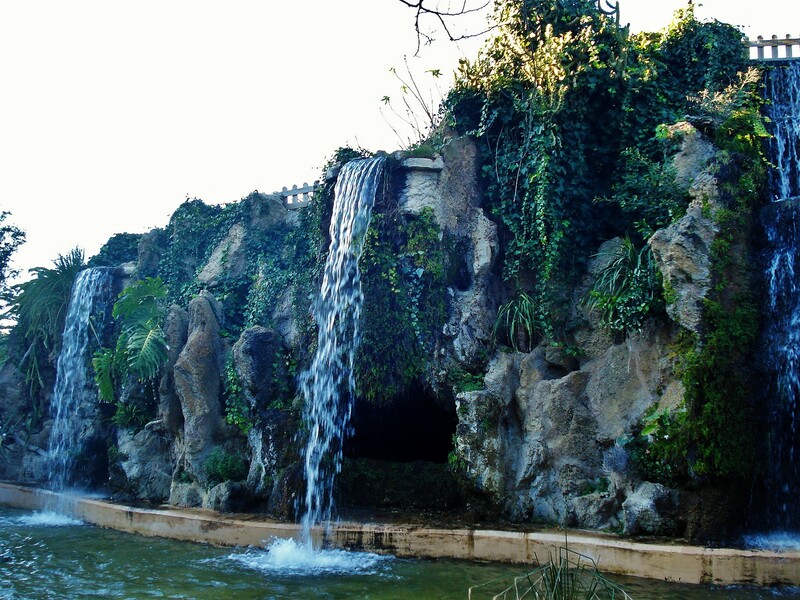 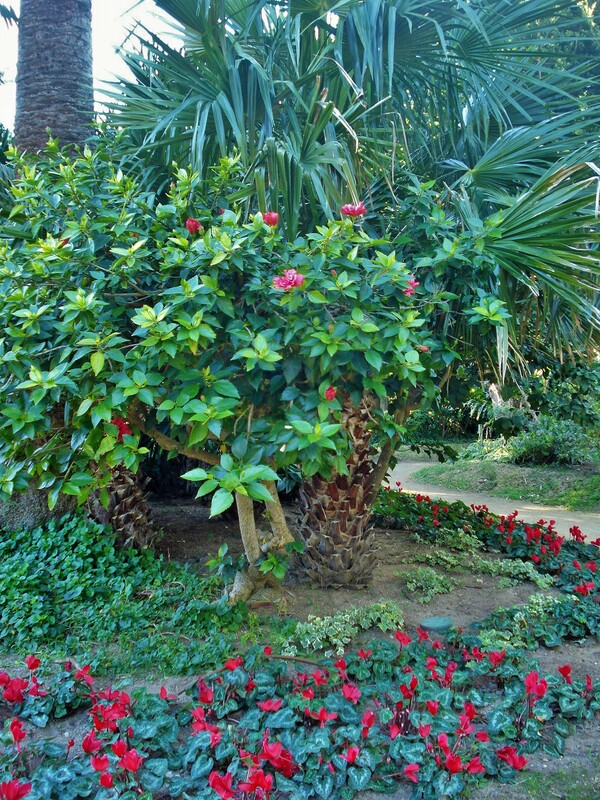 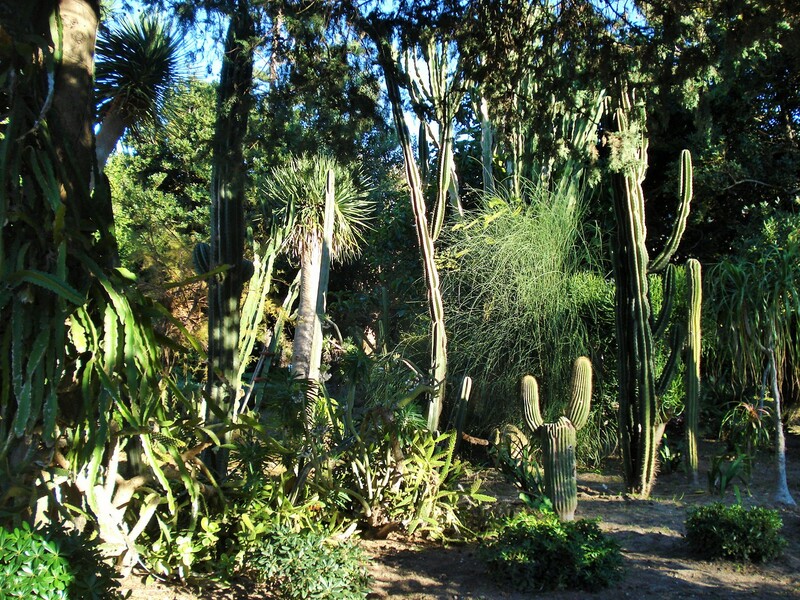 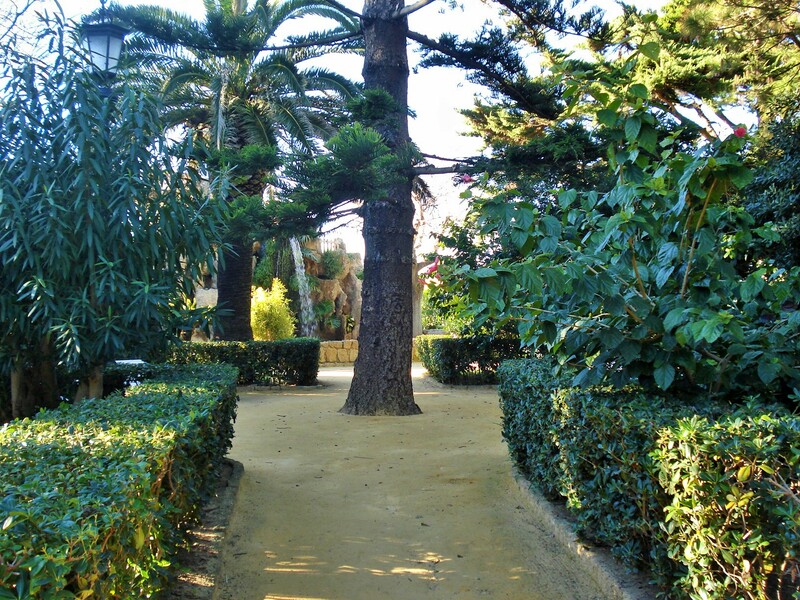 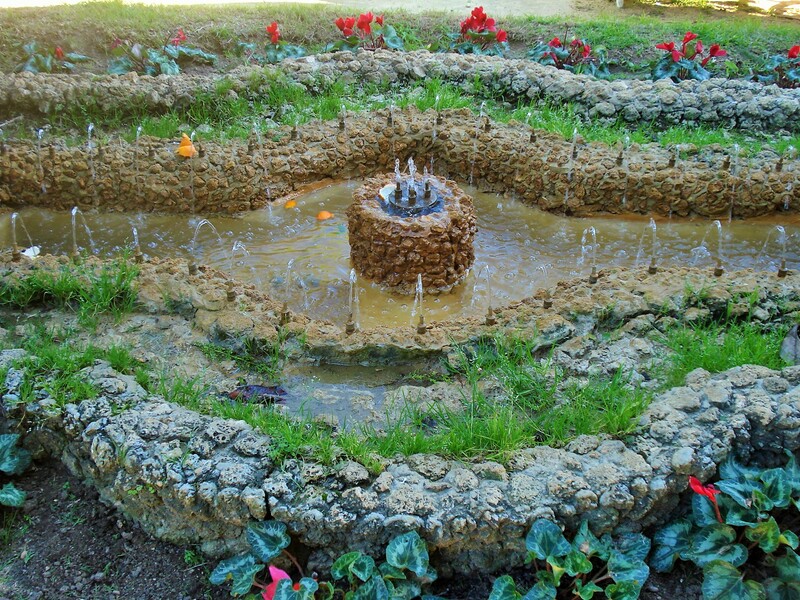 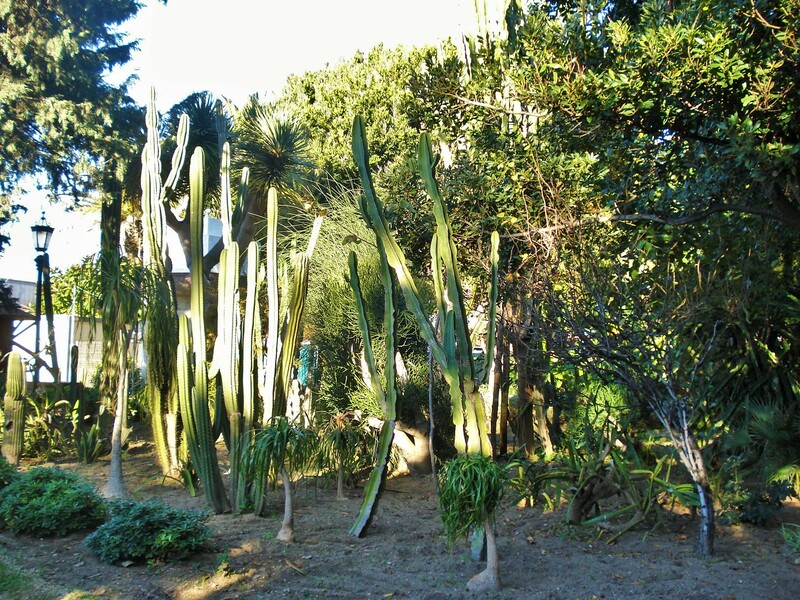 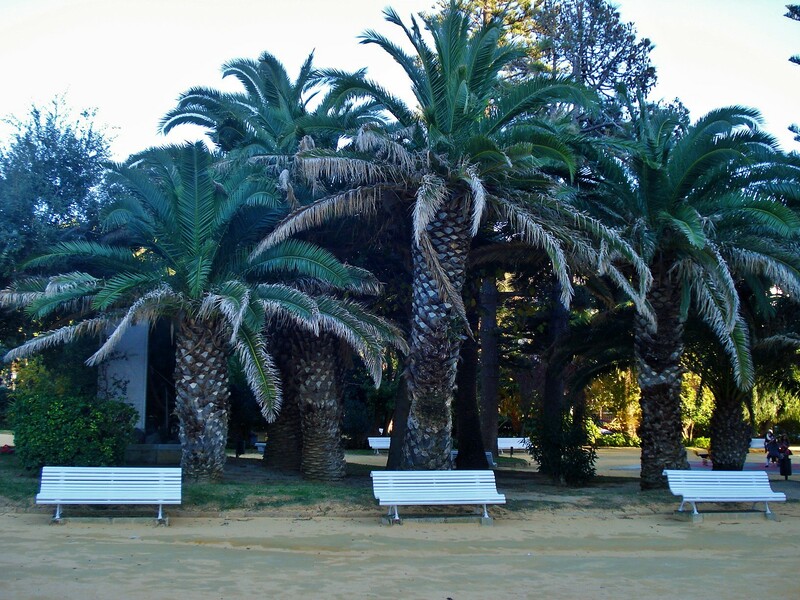 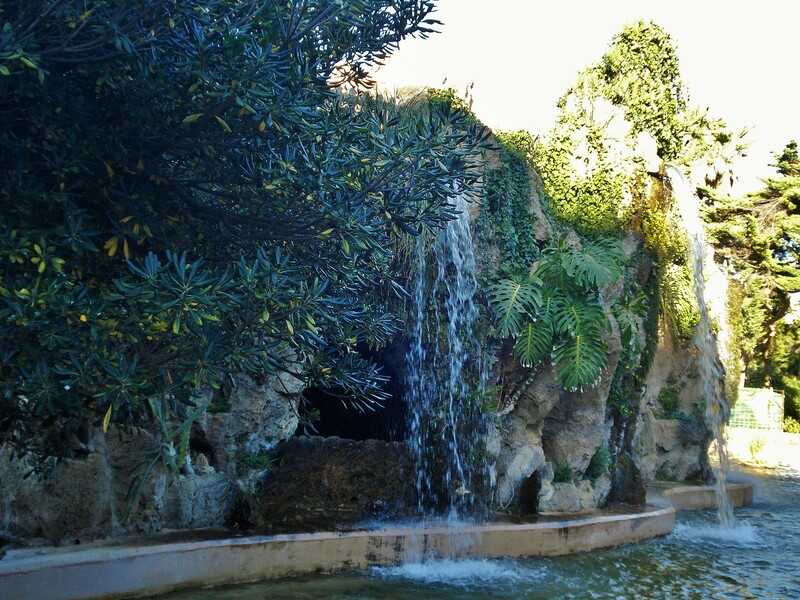 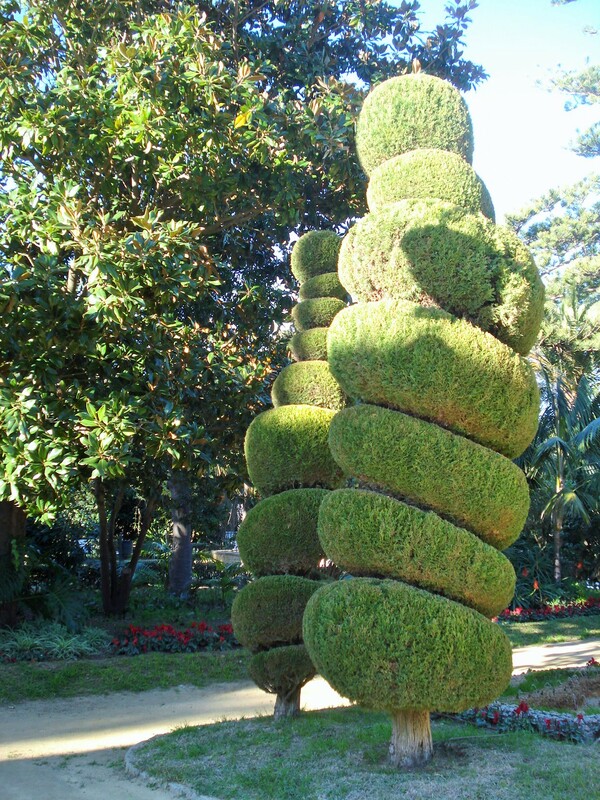 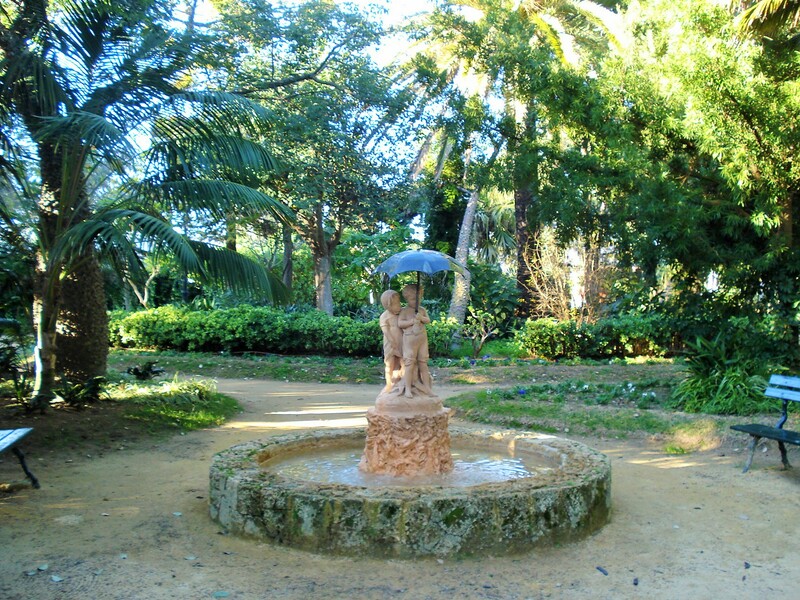 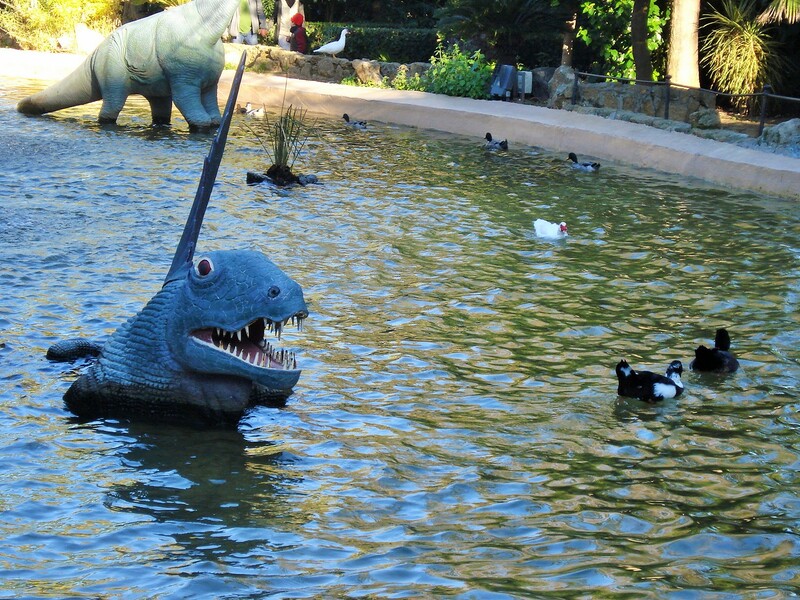 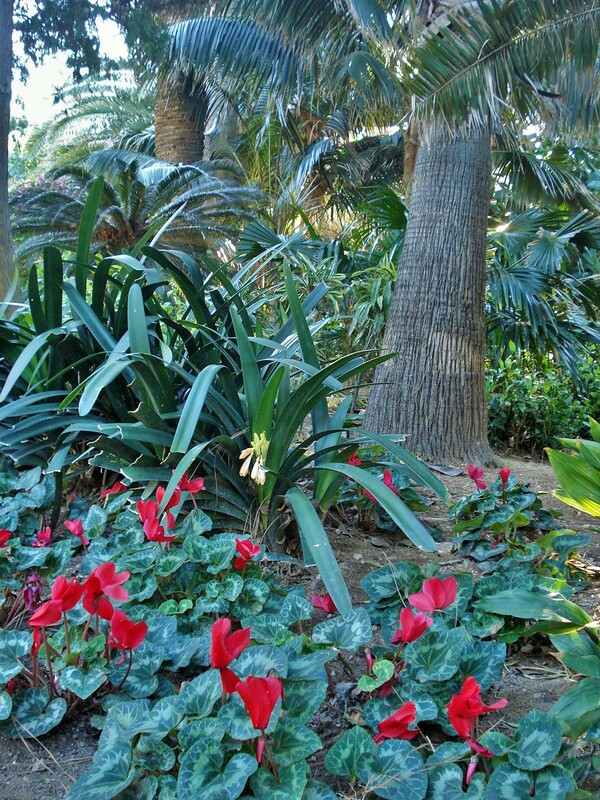 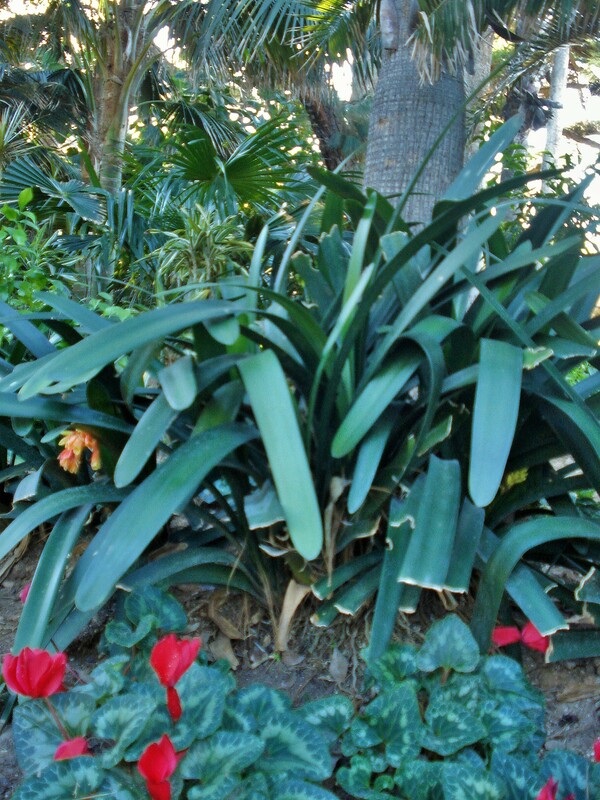 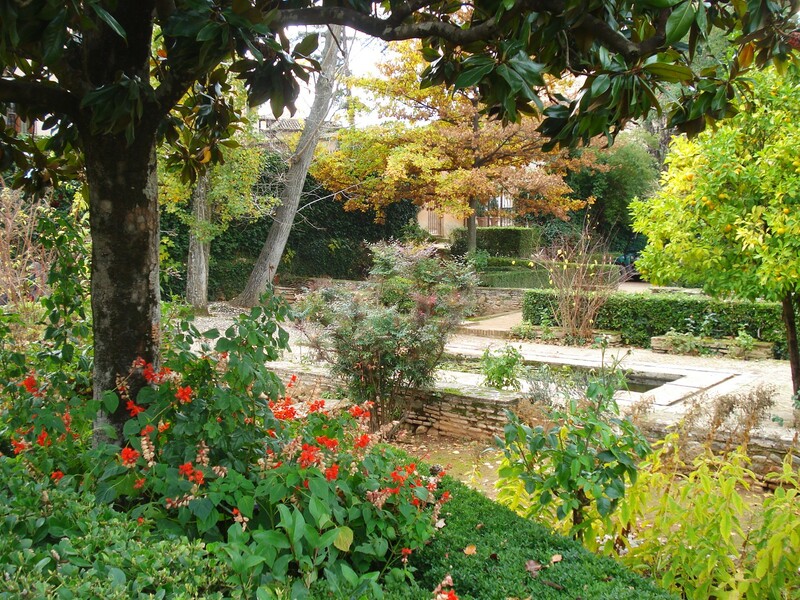 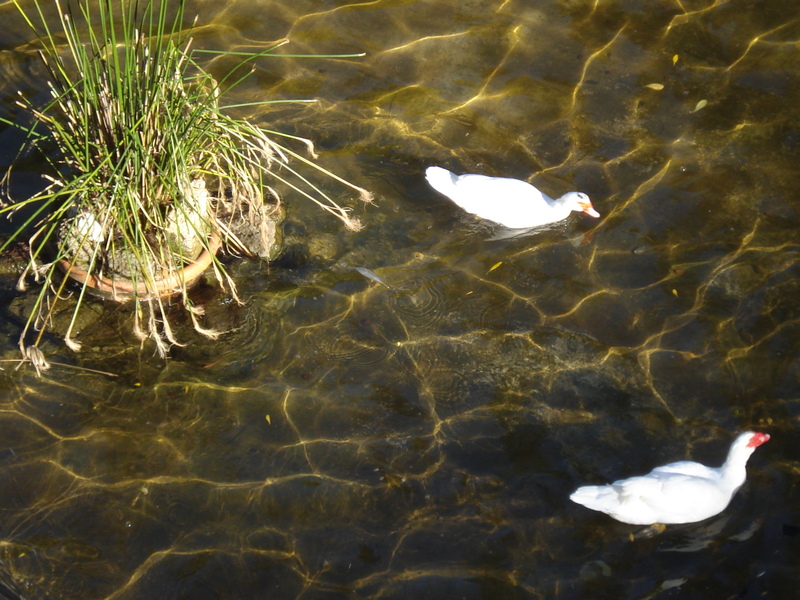 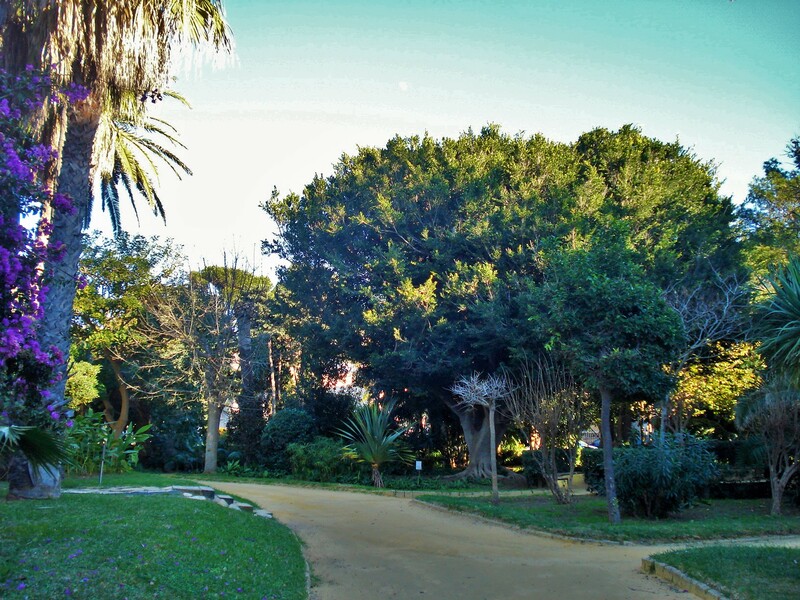 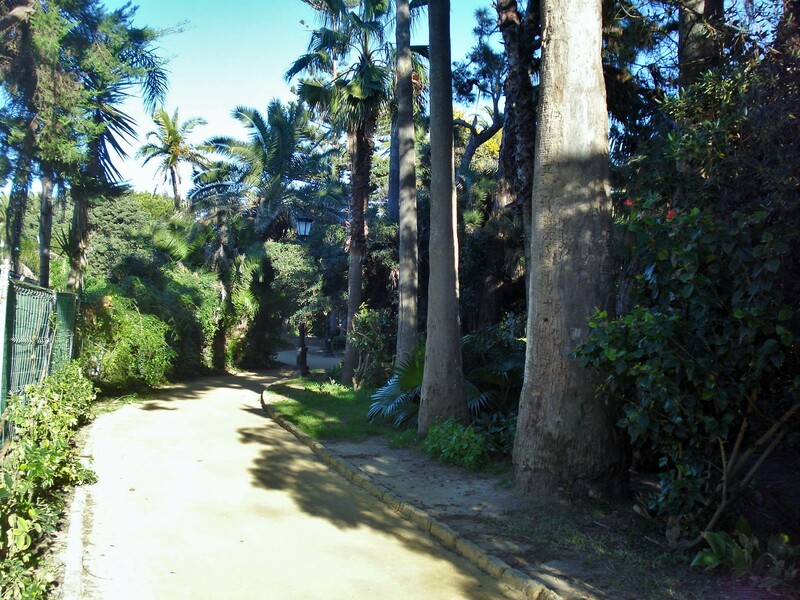 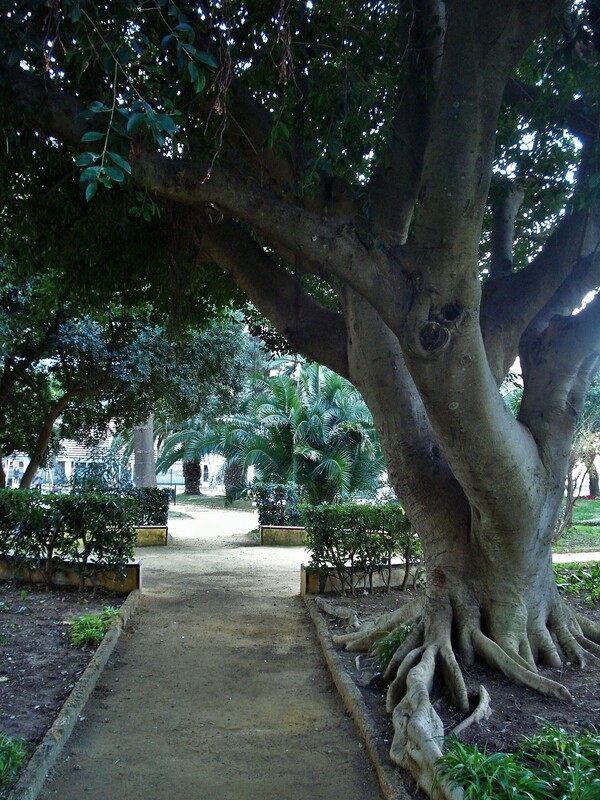 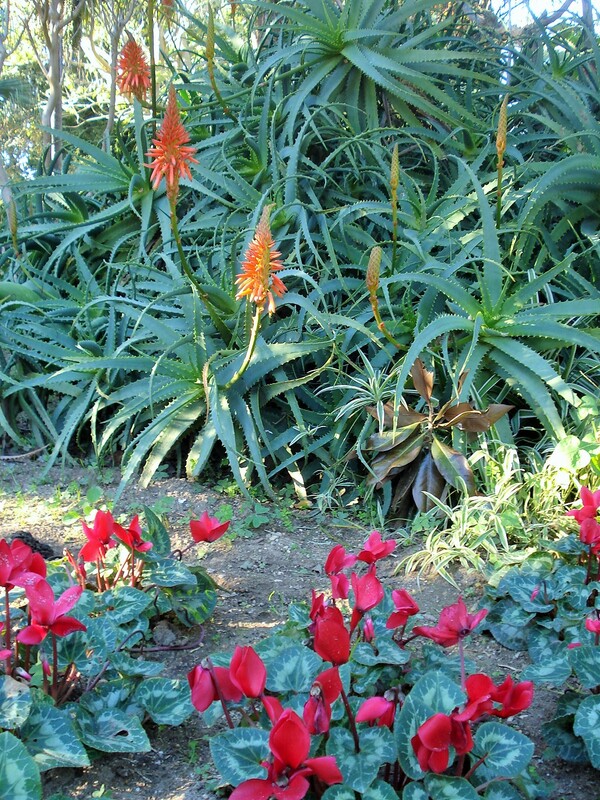 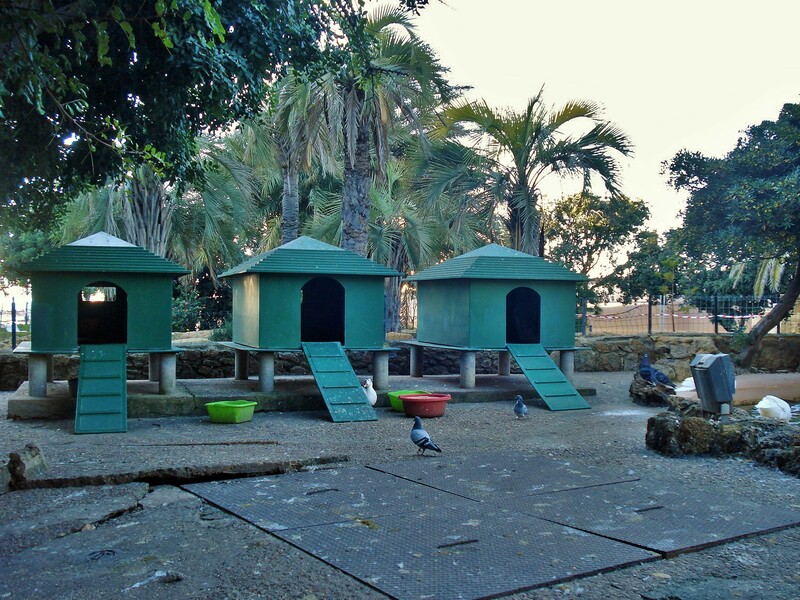 The main green area in Cadiz is Parque Genoves. 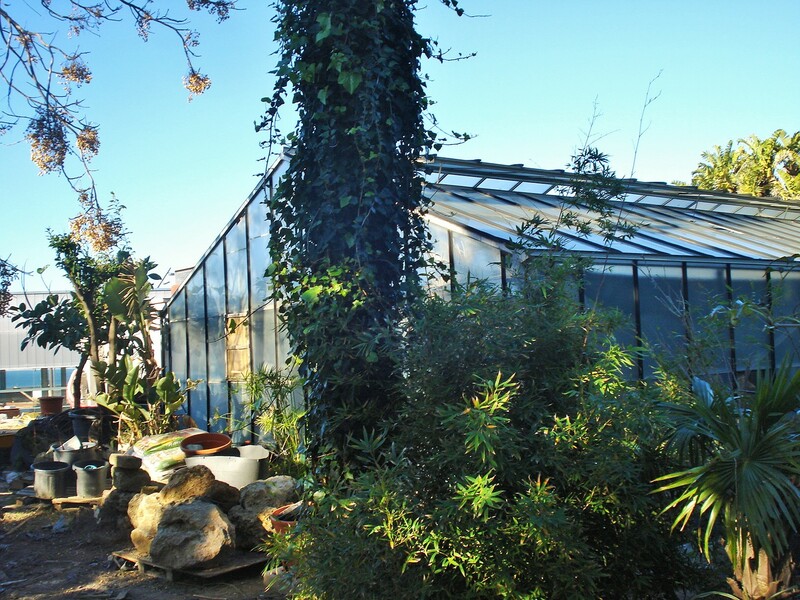 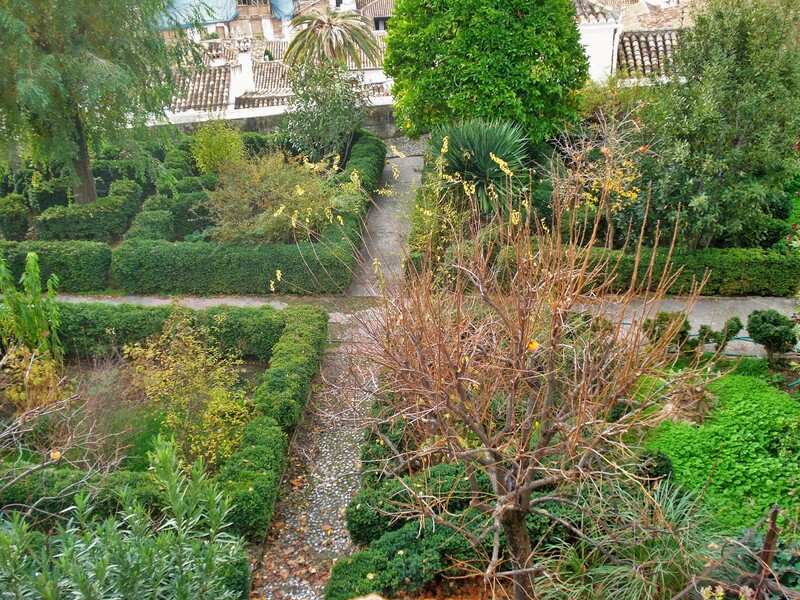 There are really two main areas to the garden. 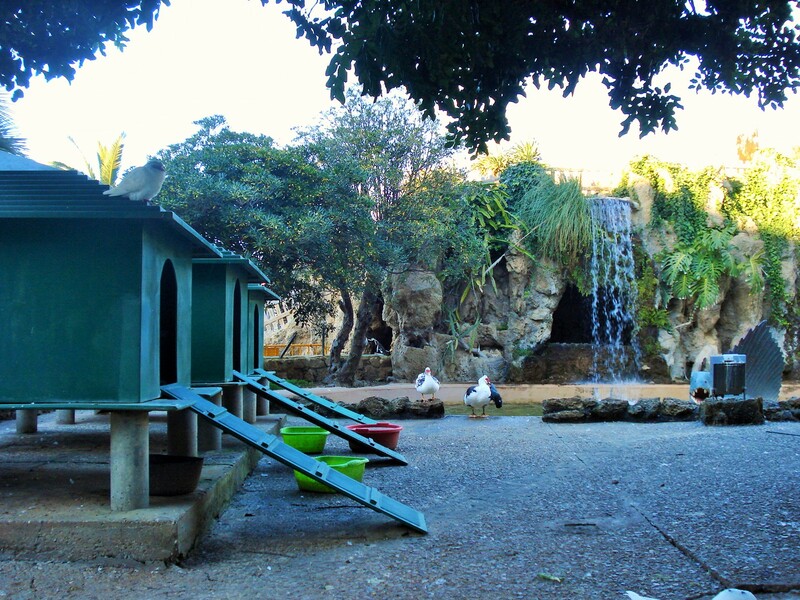 One side feels more like w whimsical park, with a man made lake, a waterfall, a mountain with cave, dinosaurs in the water, duck houses and a beautiful kiosk. 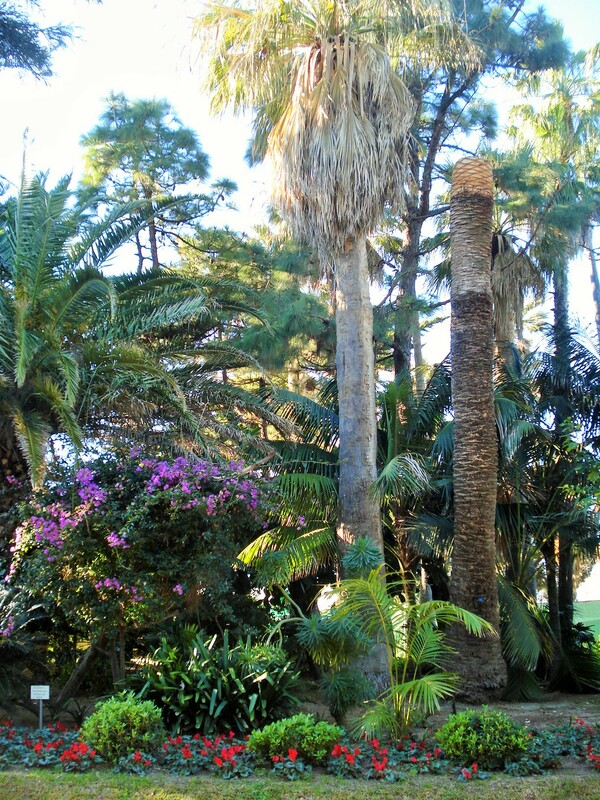 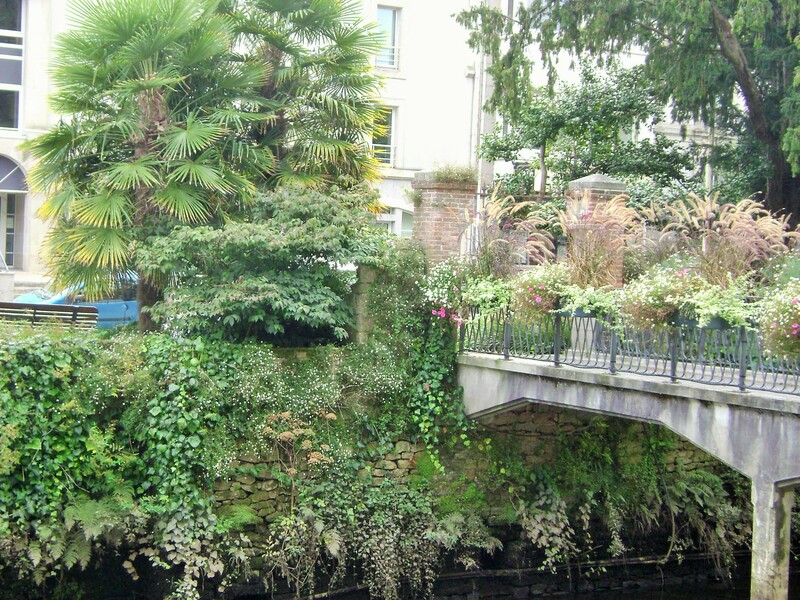 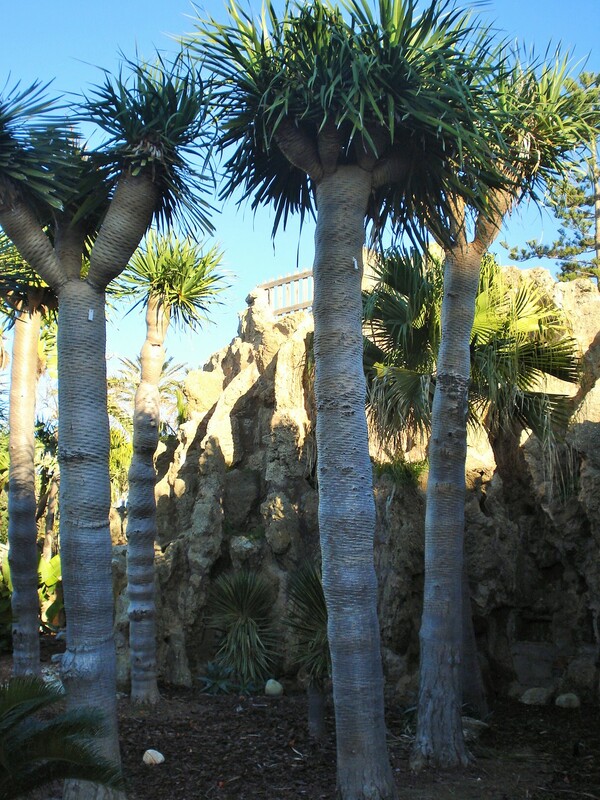 The other half has a formal promenade with topiaries and the botanical garden area with an extensive collection of trees and succulents. 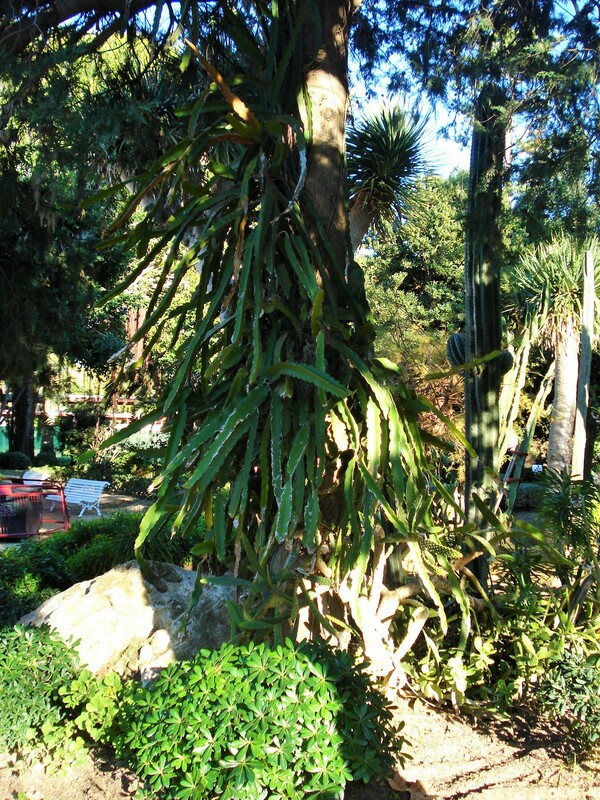 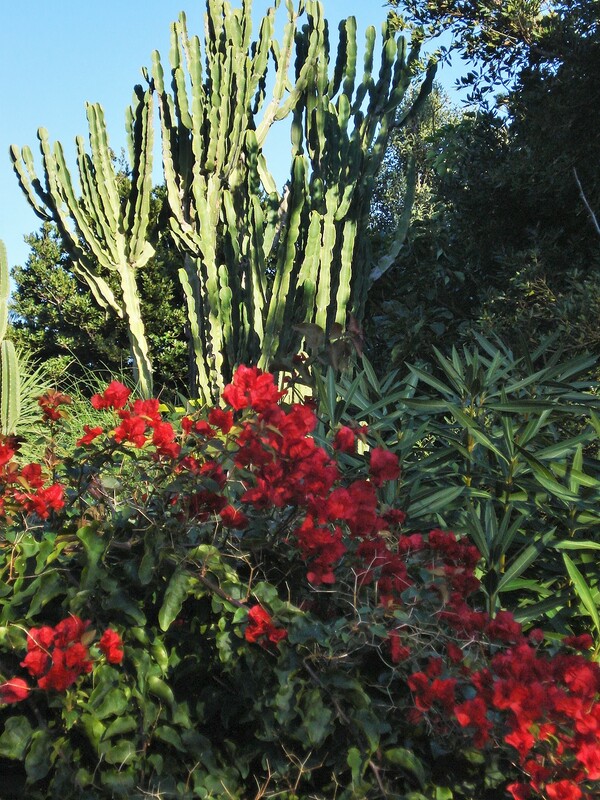 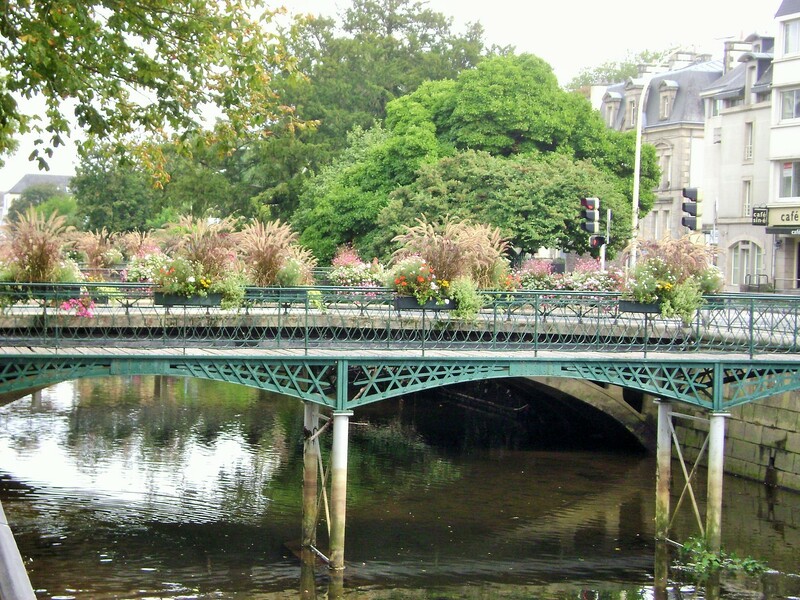 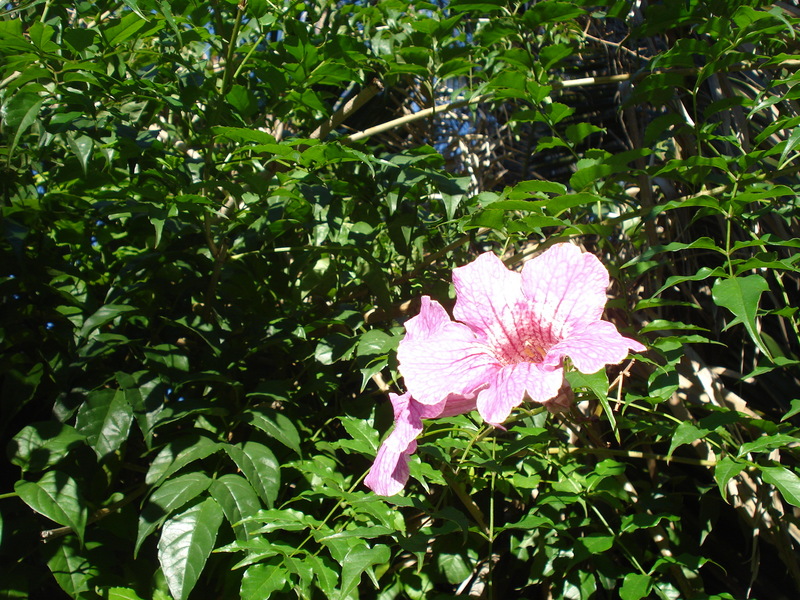 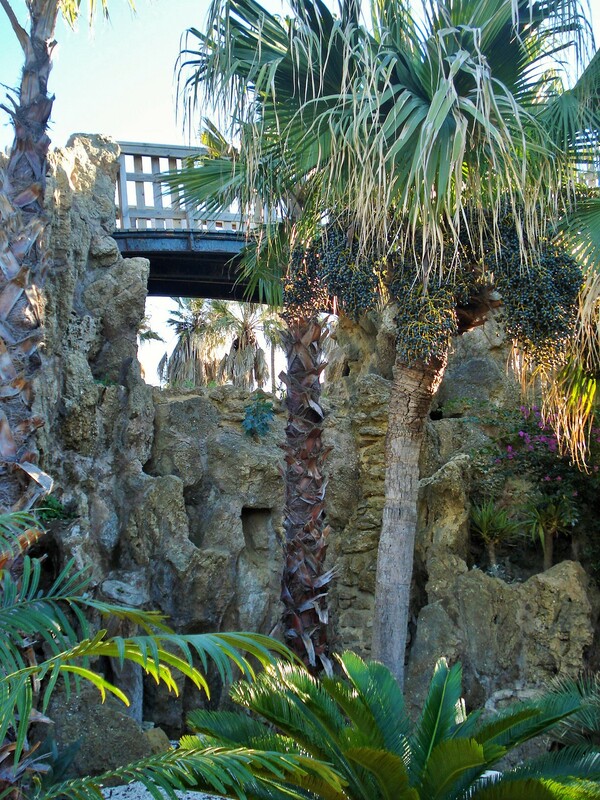 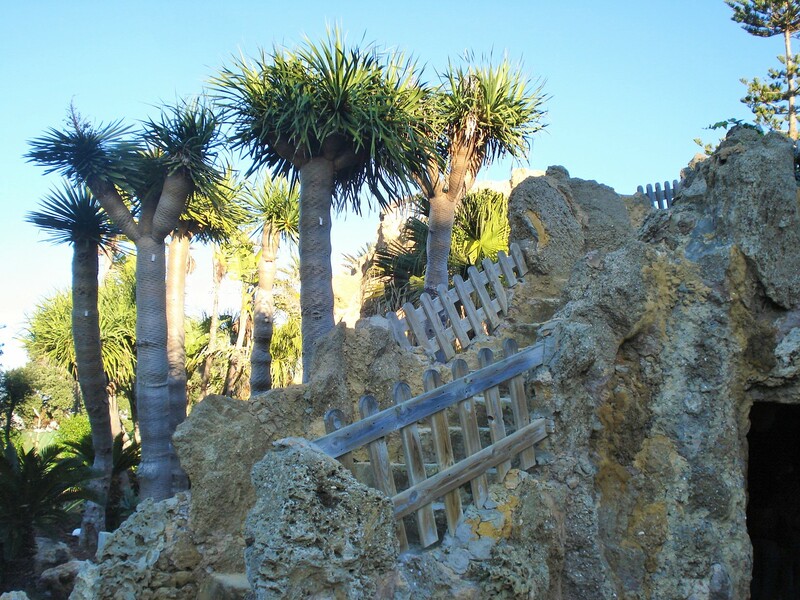 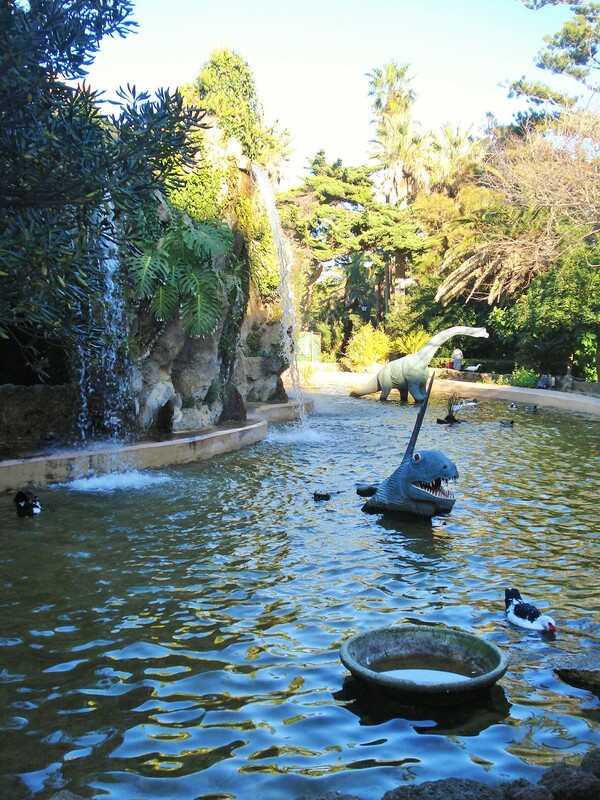 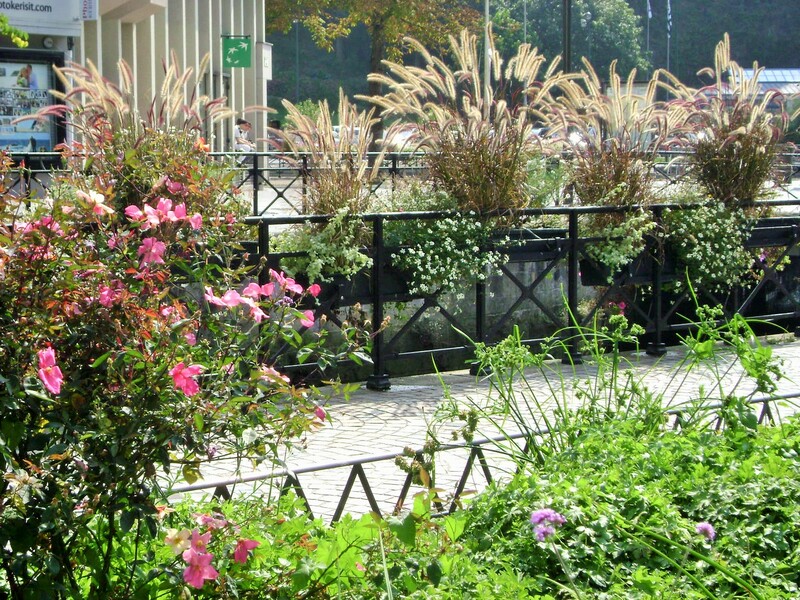 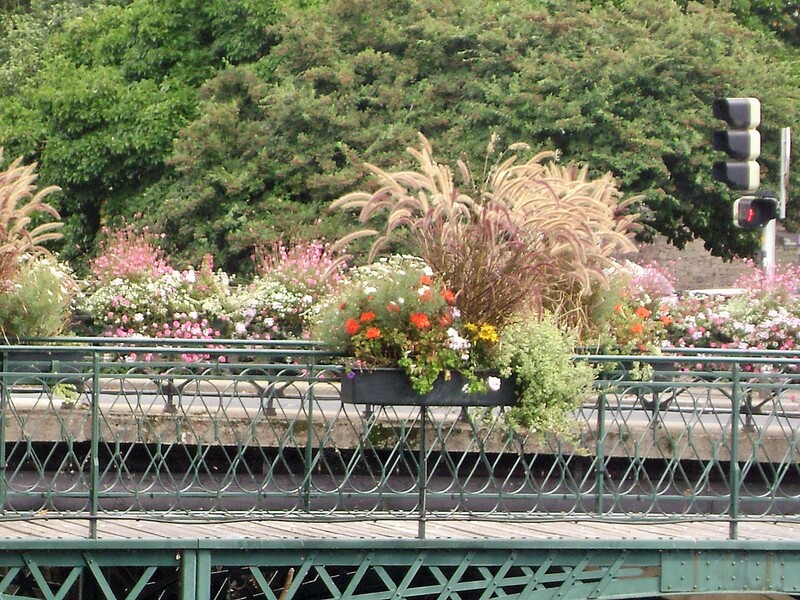 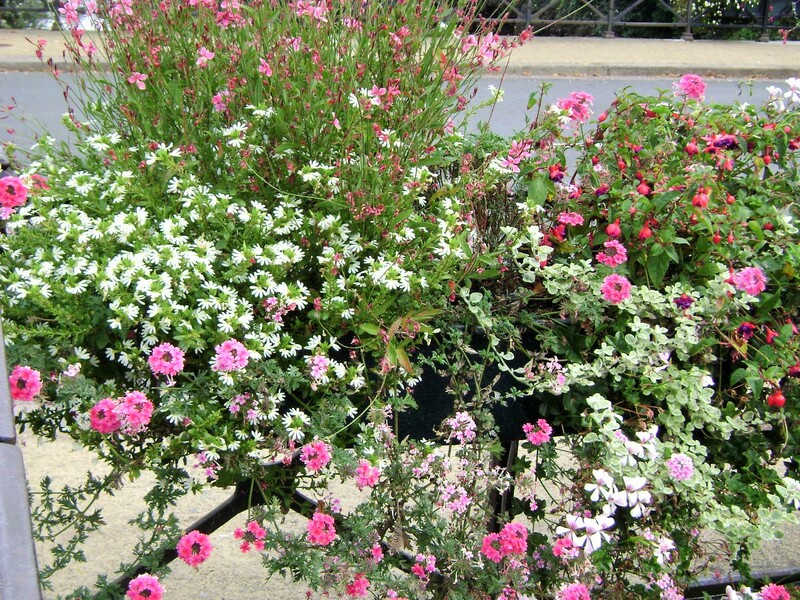 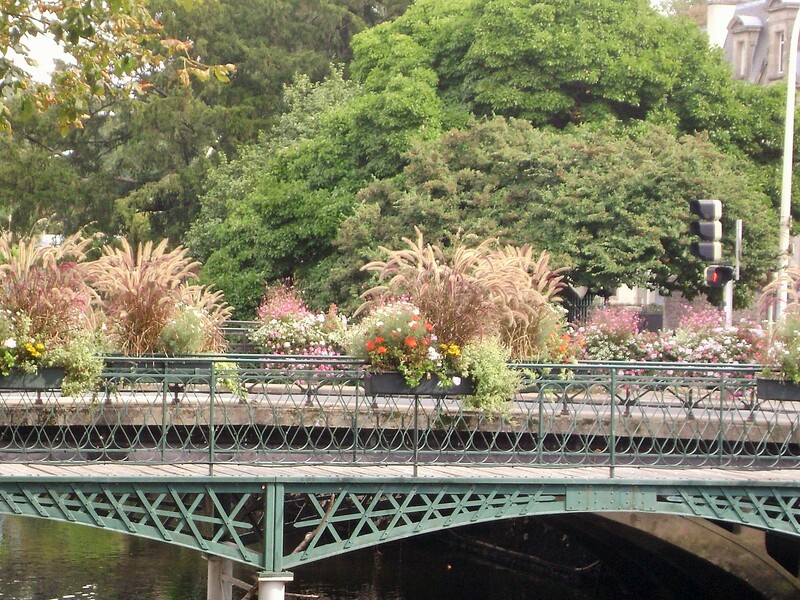 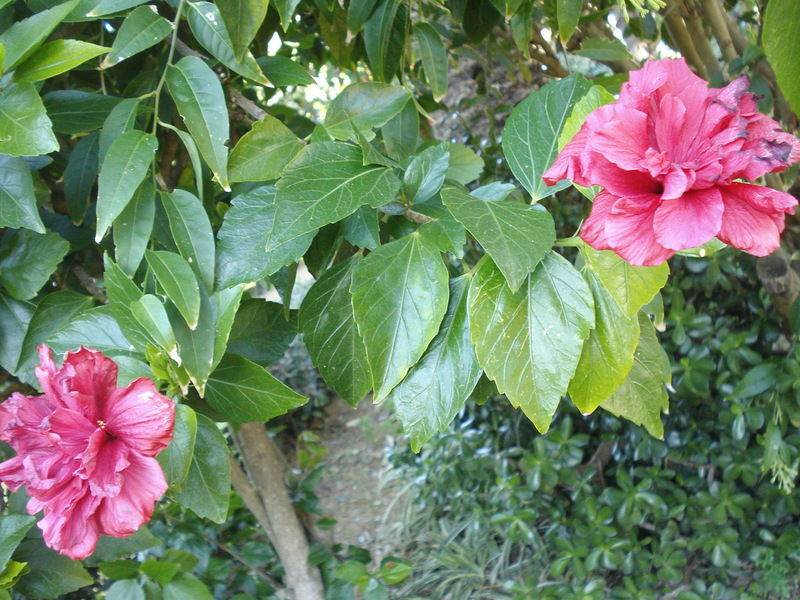 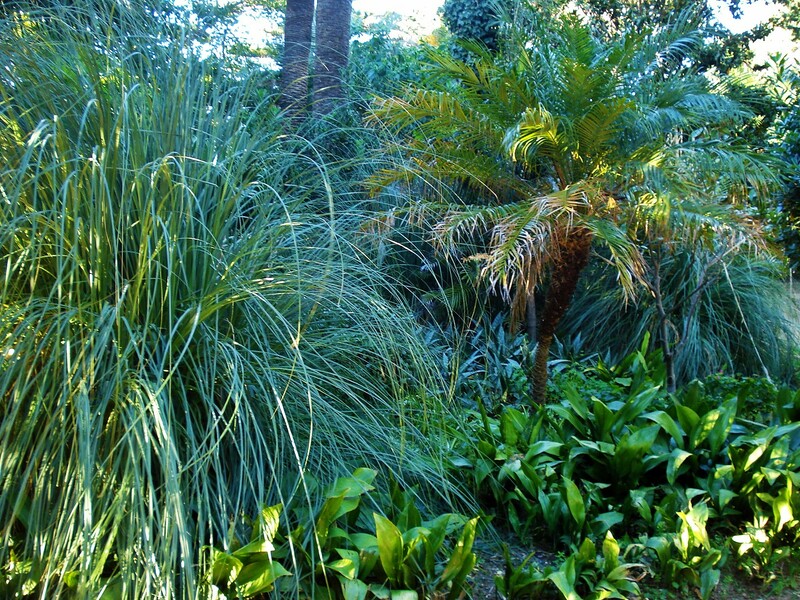 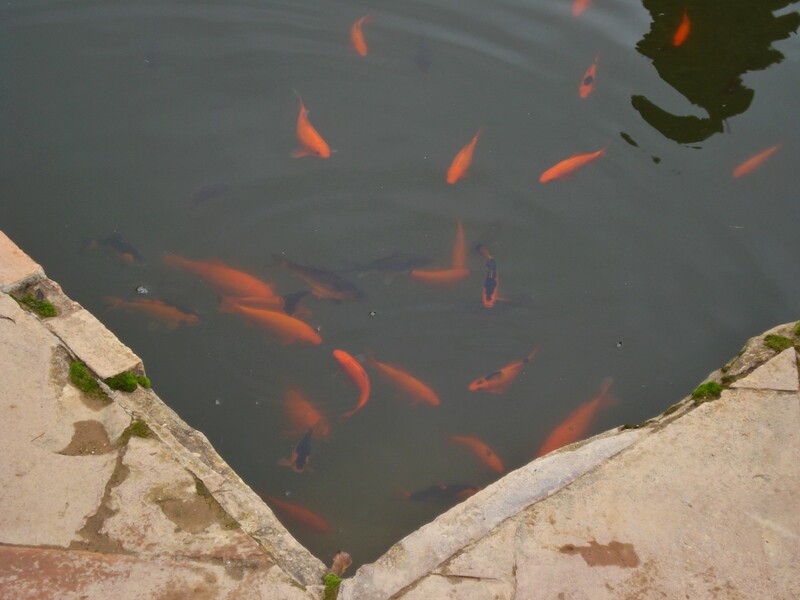 In this post I am showcasing botanical garden section of the park. 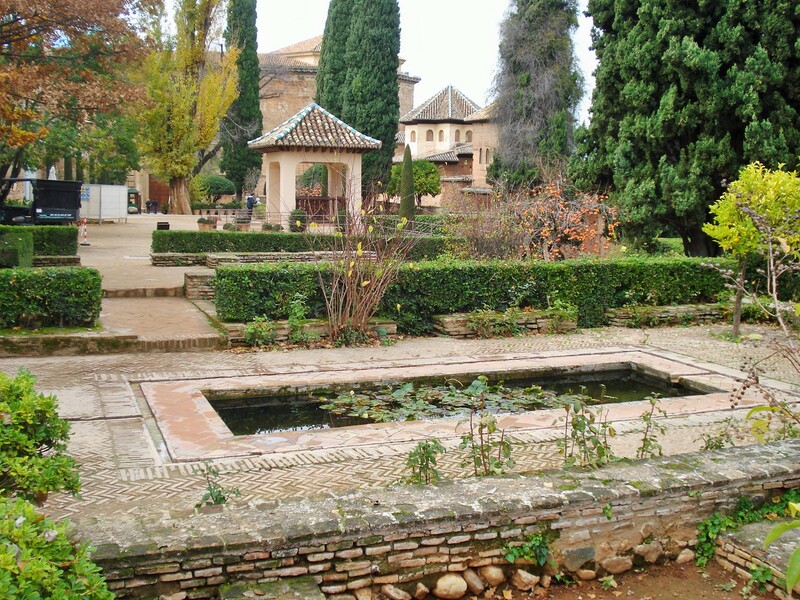 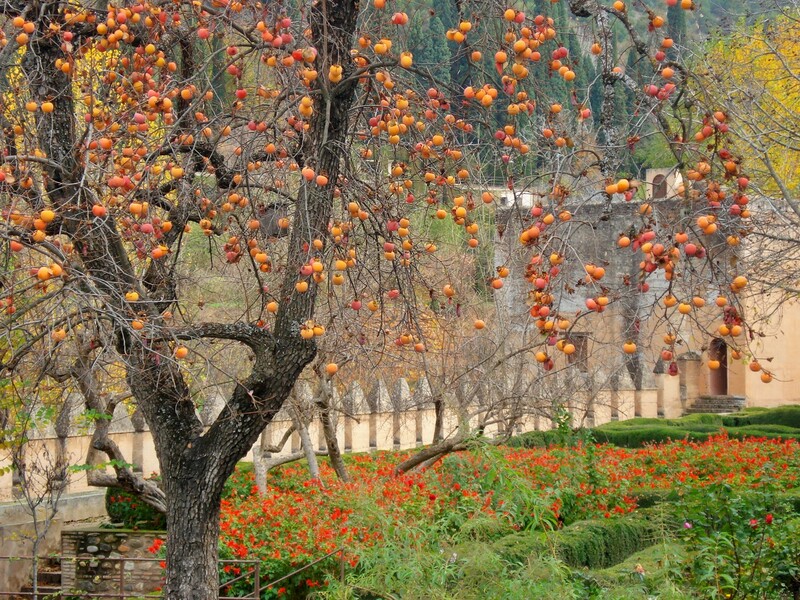 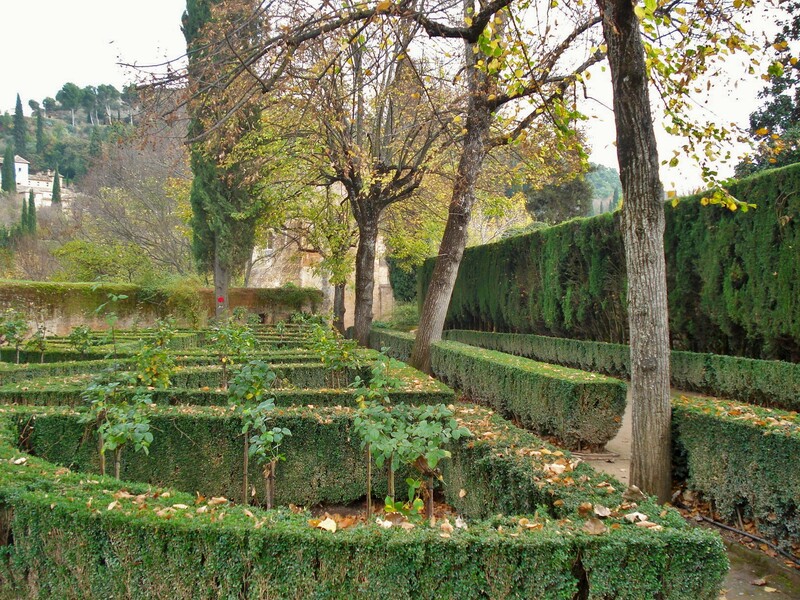 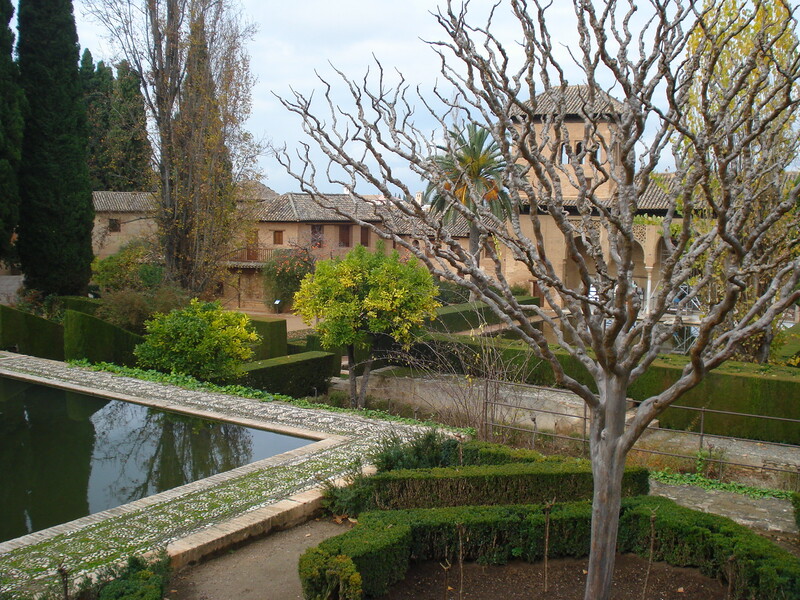 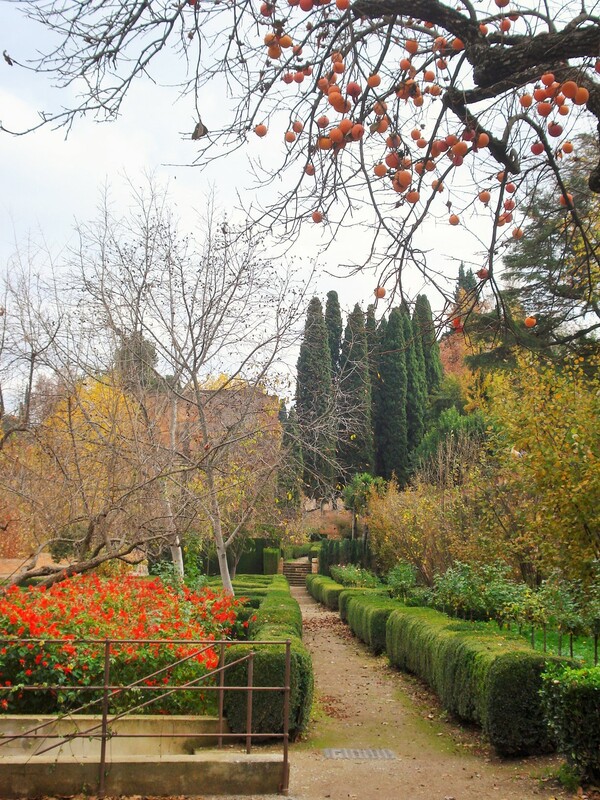 The gardens of the Alhambra proper however, while often overlooked, deserve a visit. 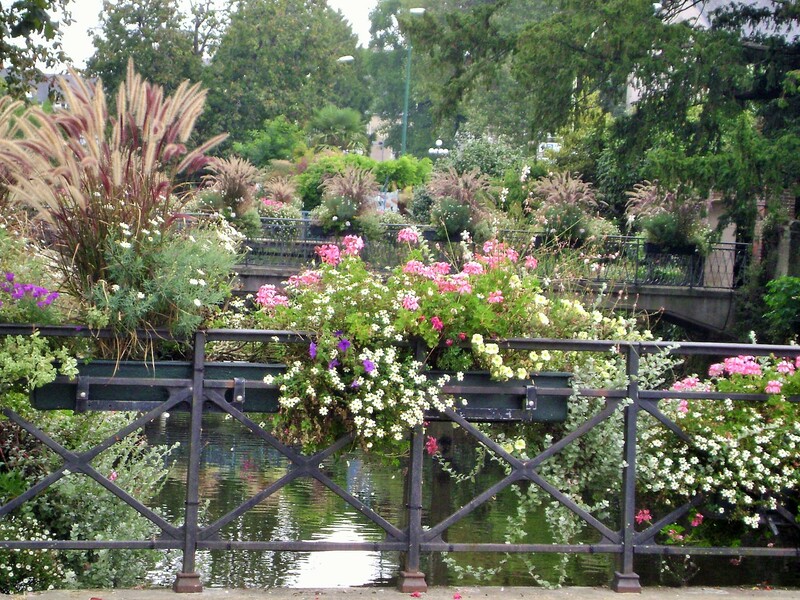 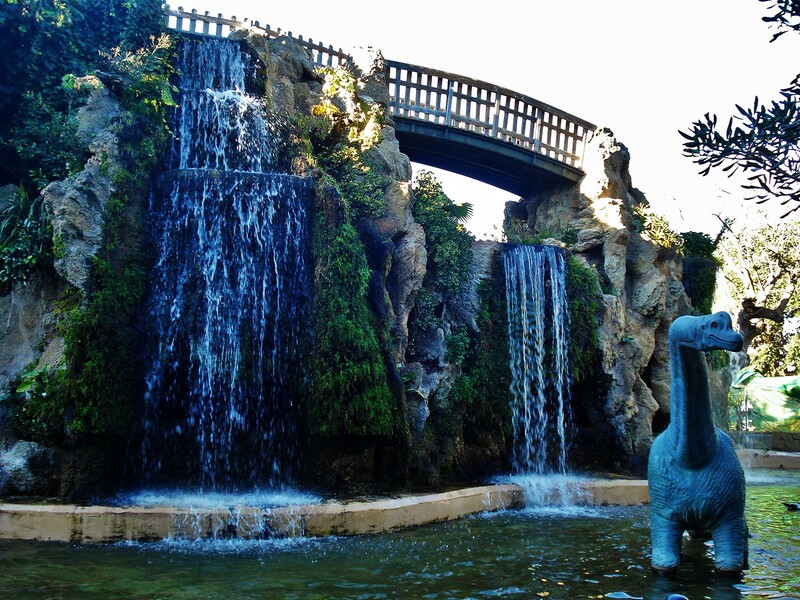 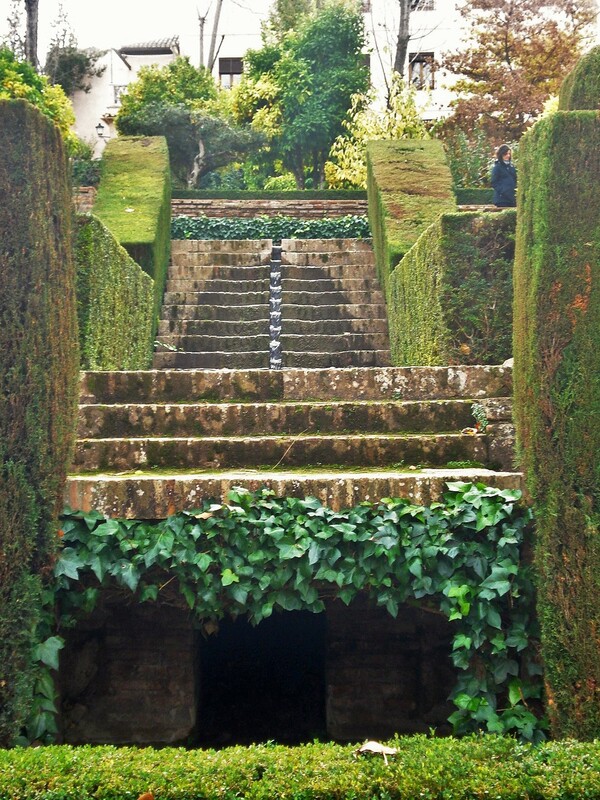 They are laid out as a series of terraces starting at the lower terrace with a pavilion and large reflecting pond, and then arbored stairs leading to a series of terraces landscaped in a very Mediterranean style and reminiscent of some of the gardens found in Provence or Italy. 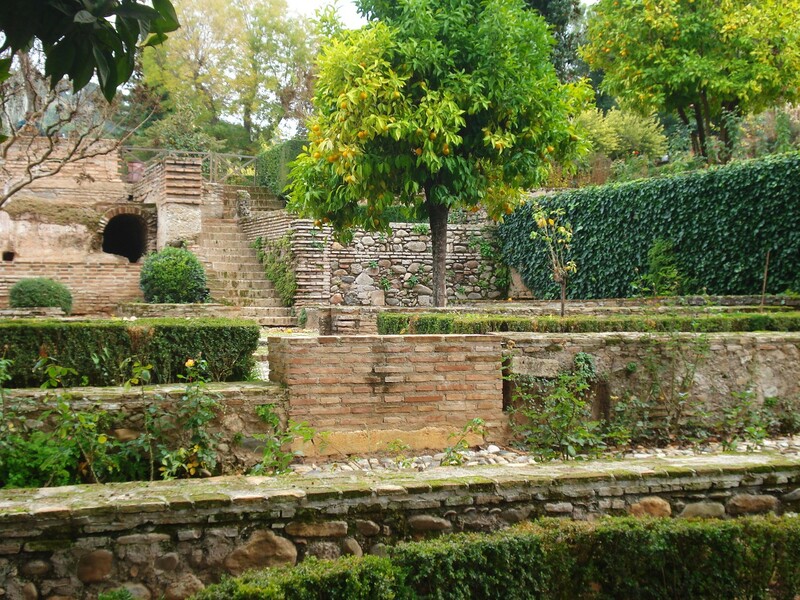 I am featuring in this post the lower terraces. 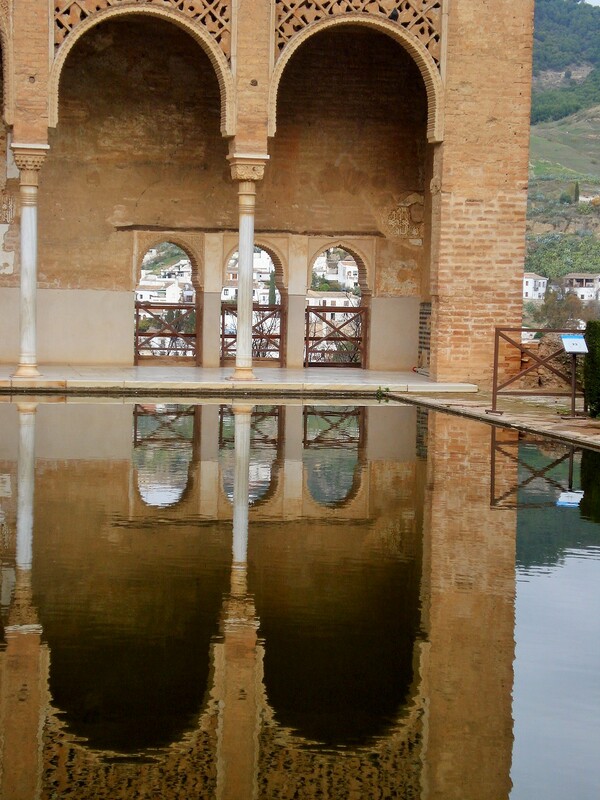 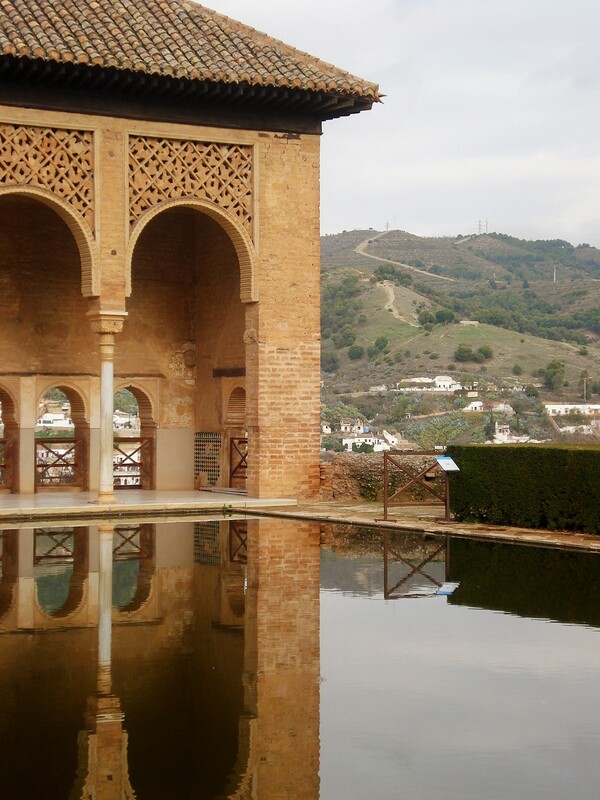 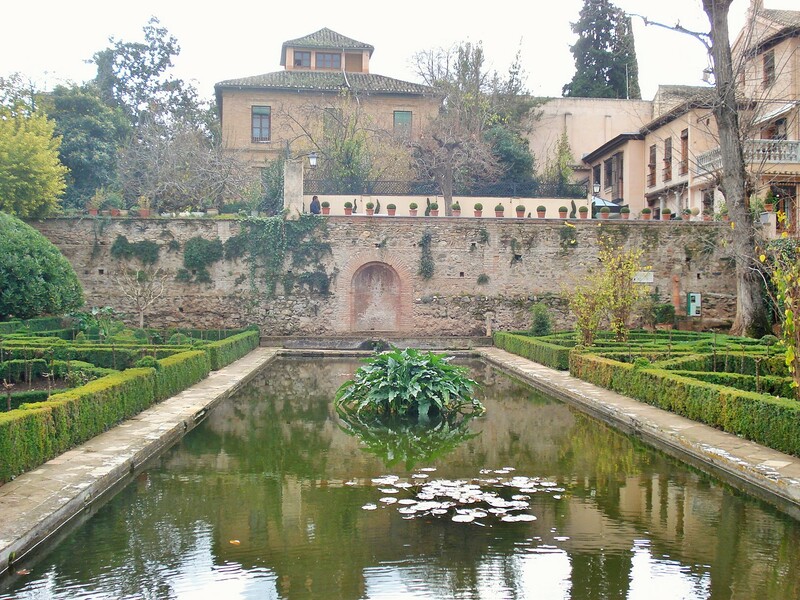 In the vast complex of palaces that is the Alhambra, this former monastery has been converted into one of the Paradors, Spain government-owned luxury hotels in historic landmarks. 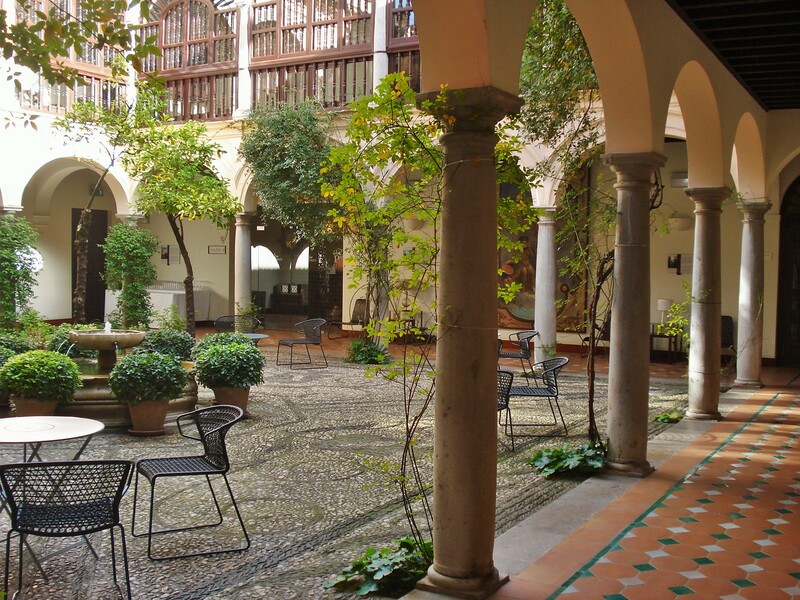 A central courtyard is enclosed with arched columns and a covered gallery. 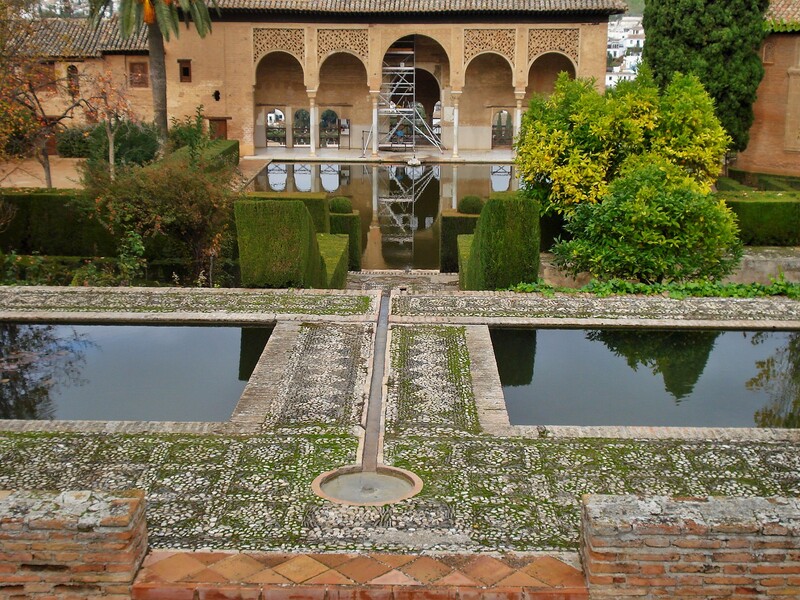 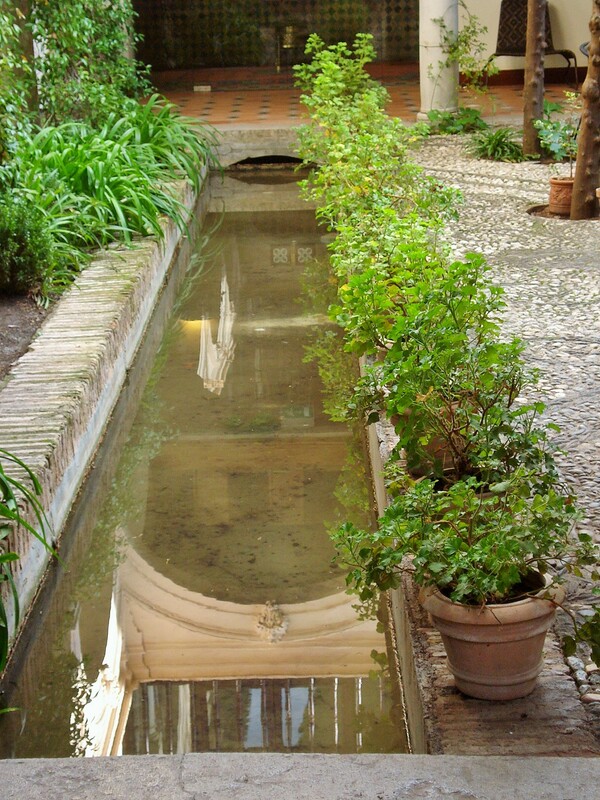 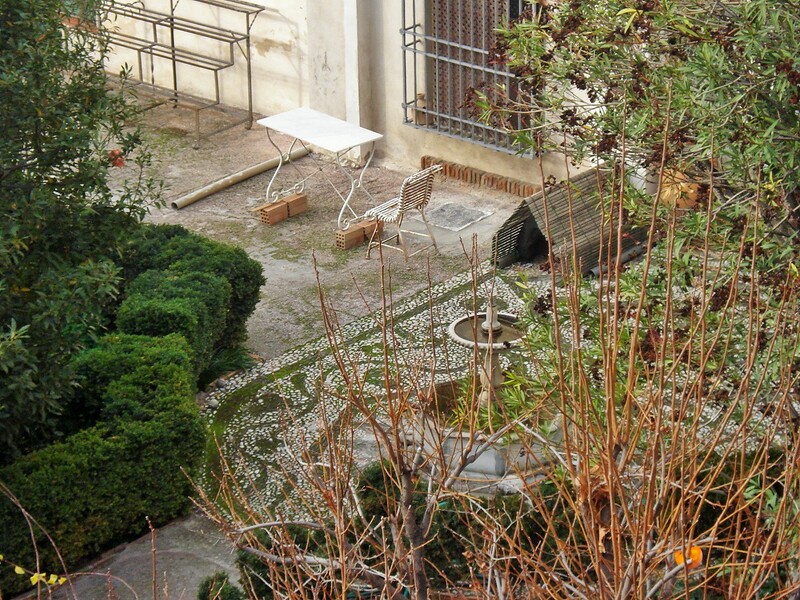 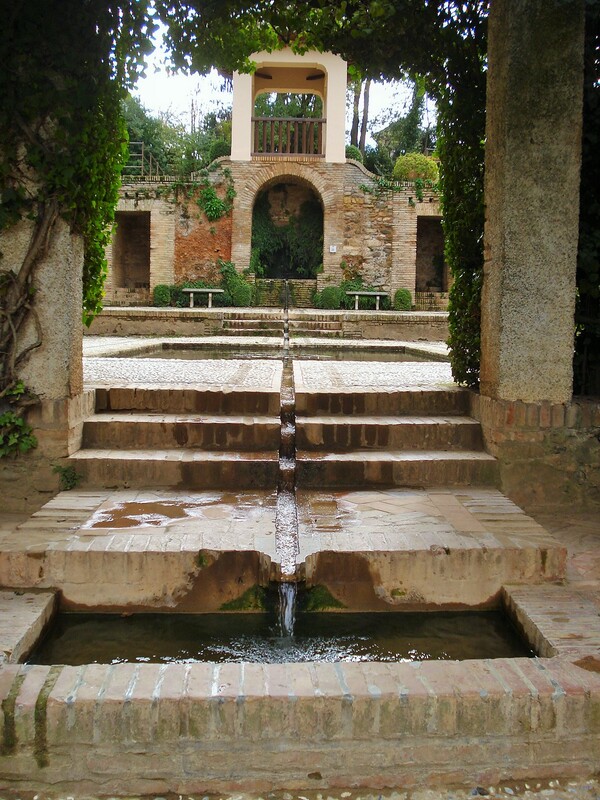 It is a lovely example of the typical Andalusian patio (albeit a rather grand version of course) with the ever present water features in the form of a canal and a central fountain as a focal point. 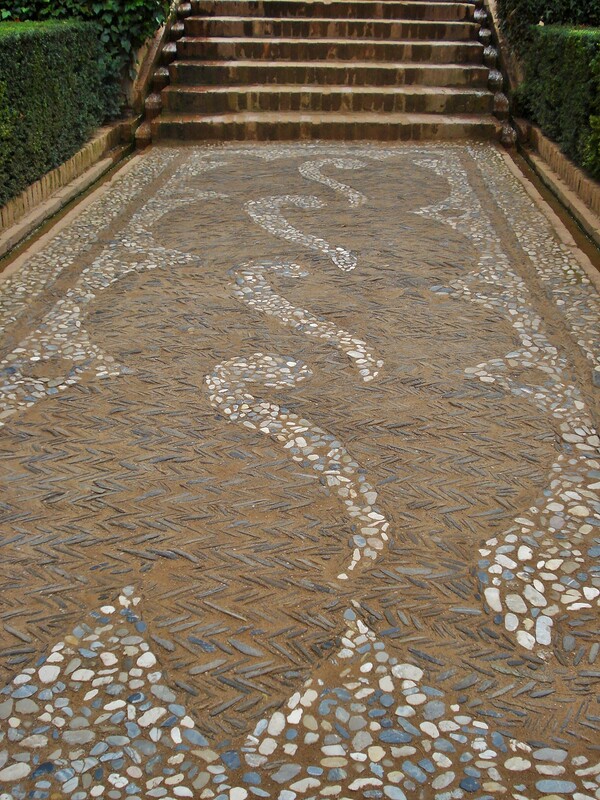 Note also the intricate pebble design of the patio flooring, found throughout southern Spain. 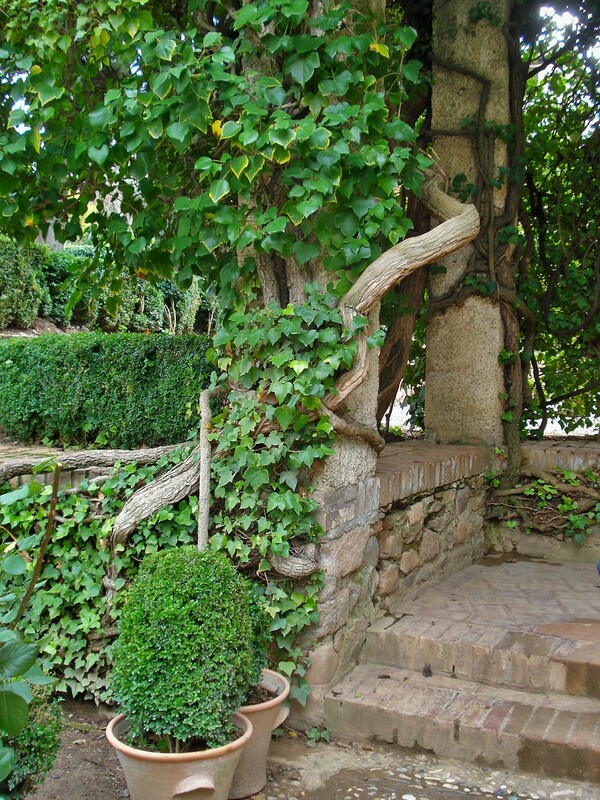 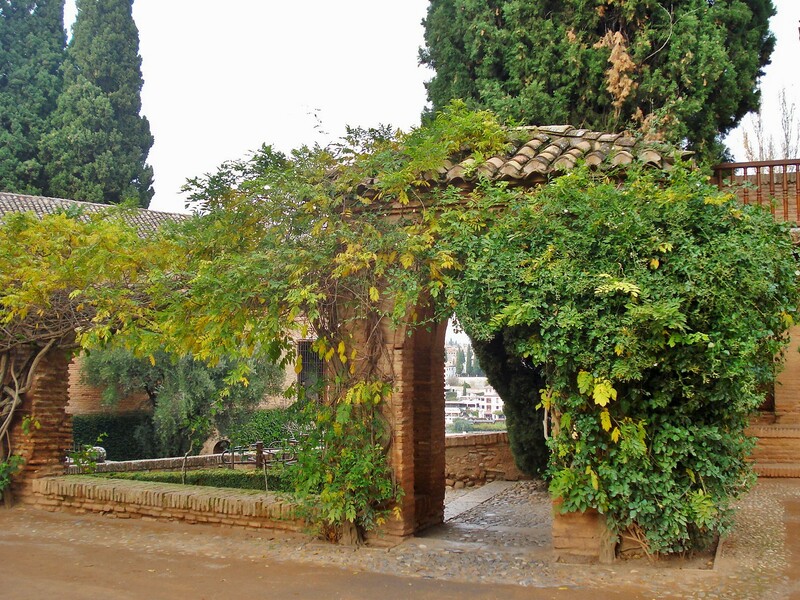 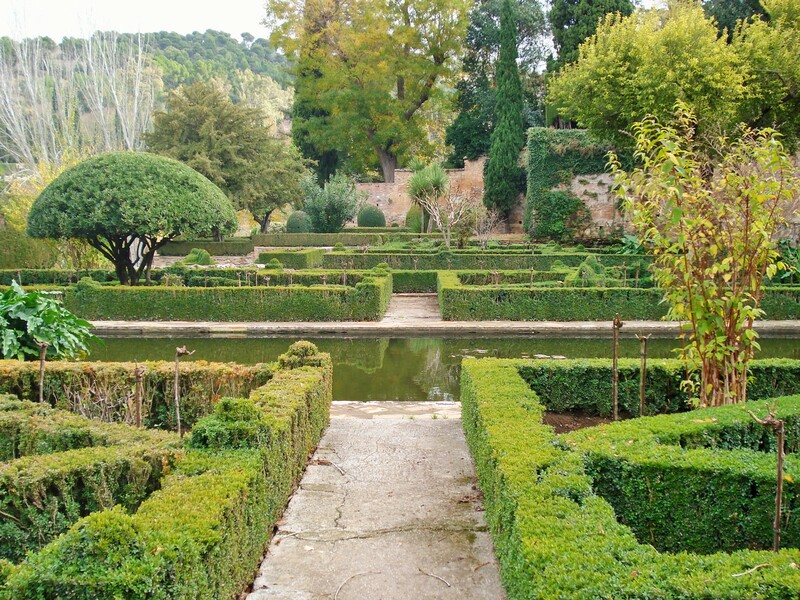 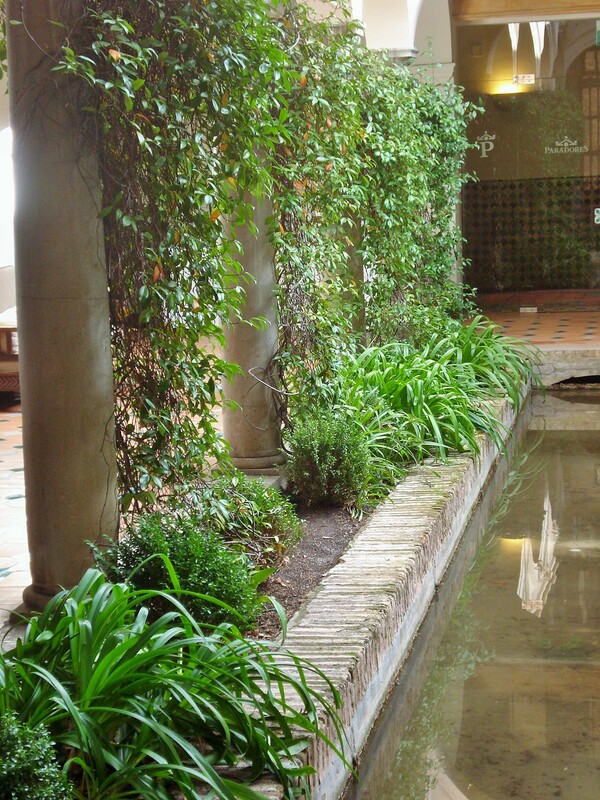 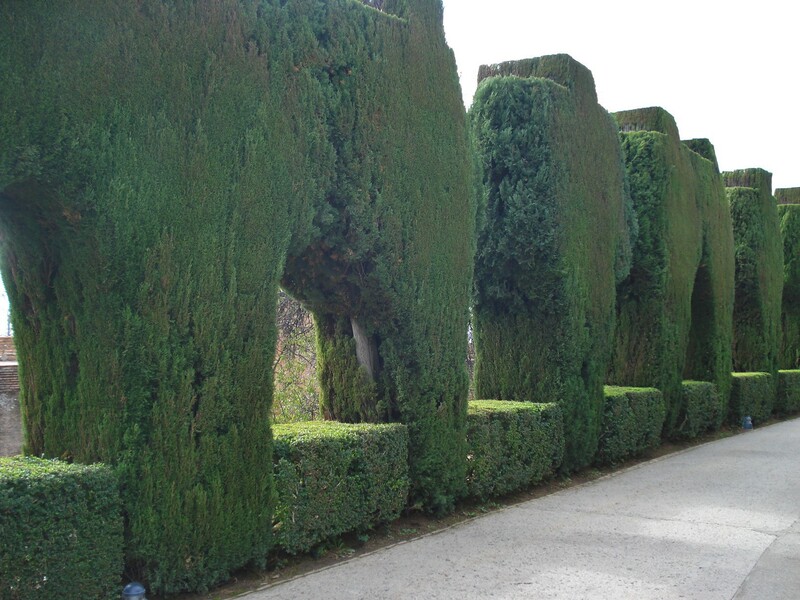 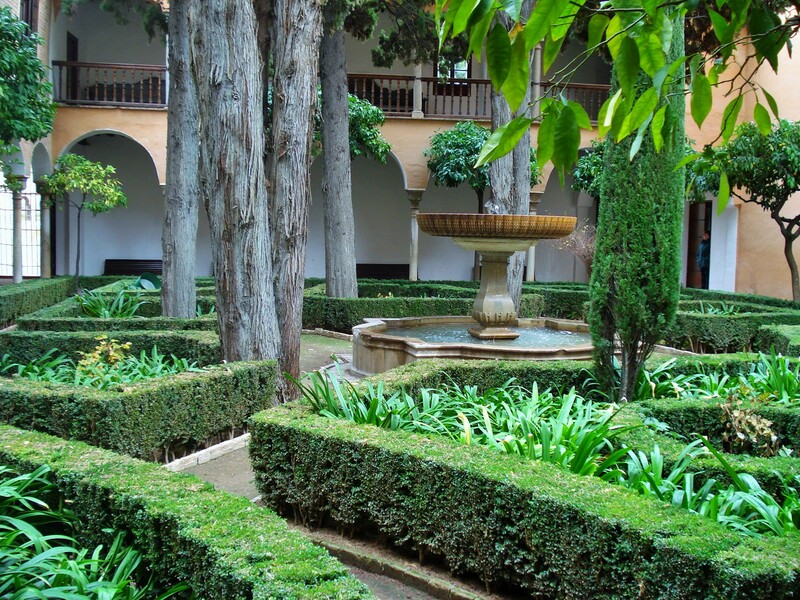 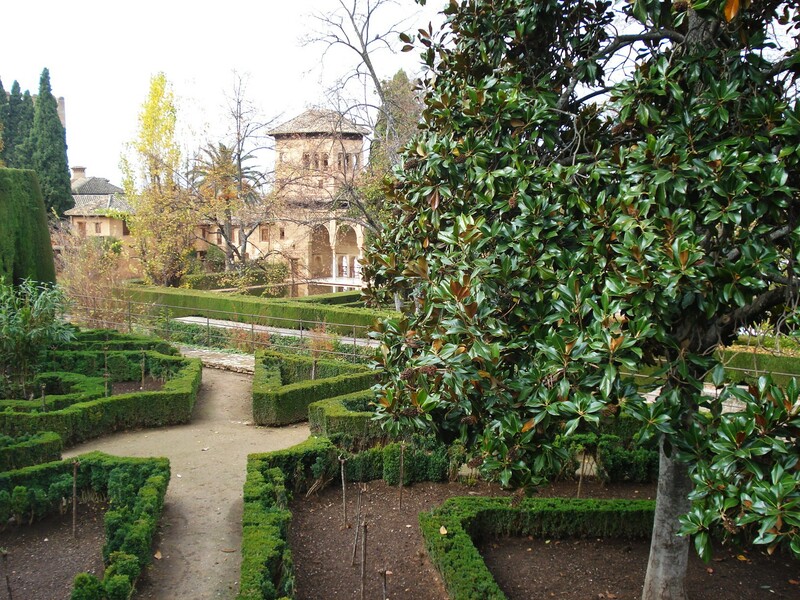 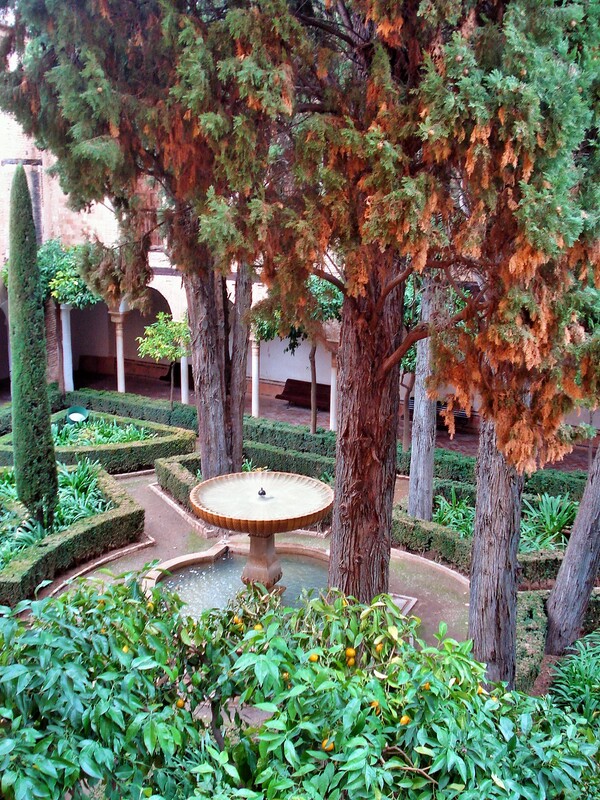 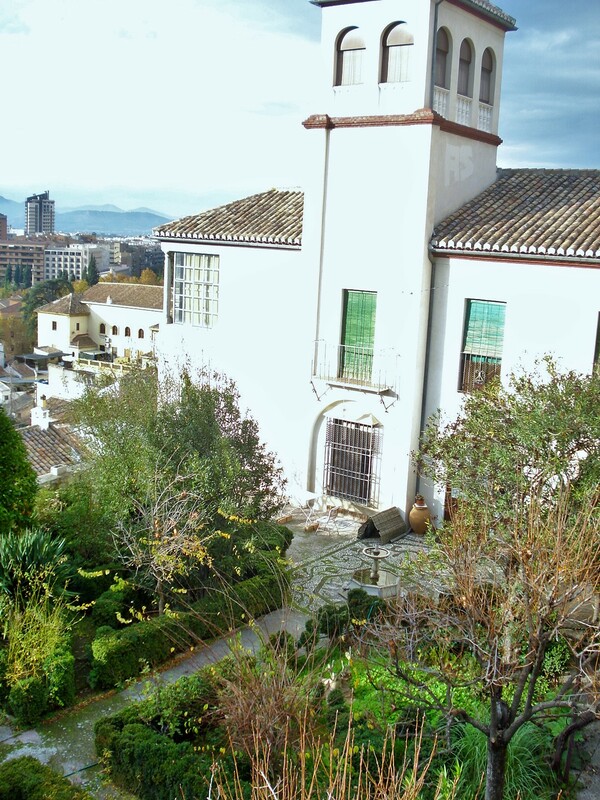 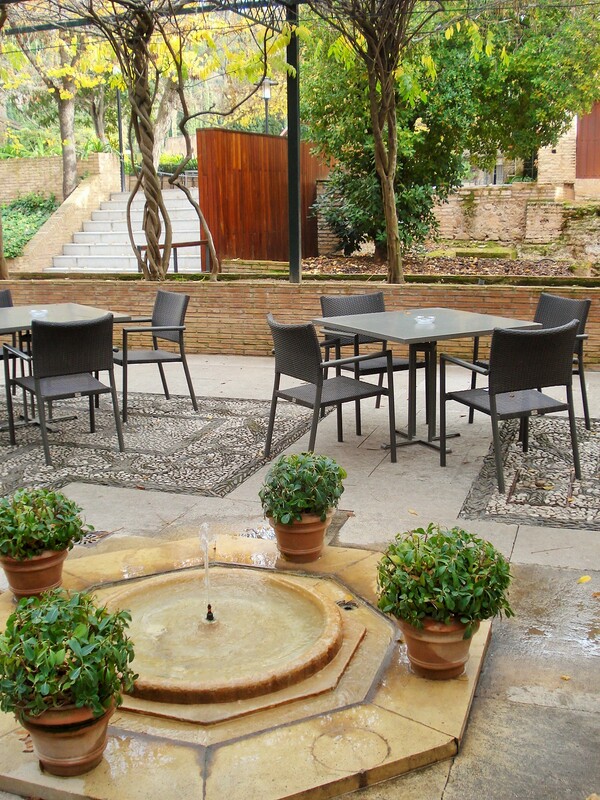 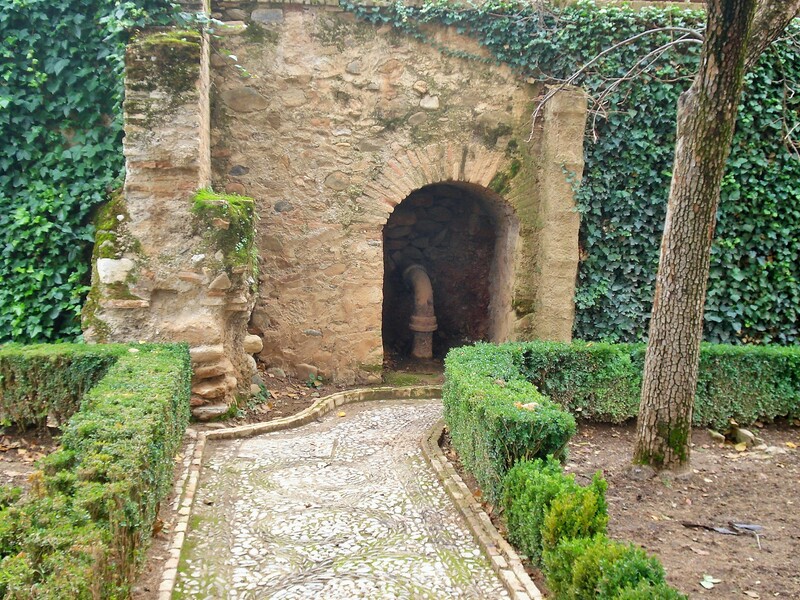 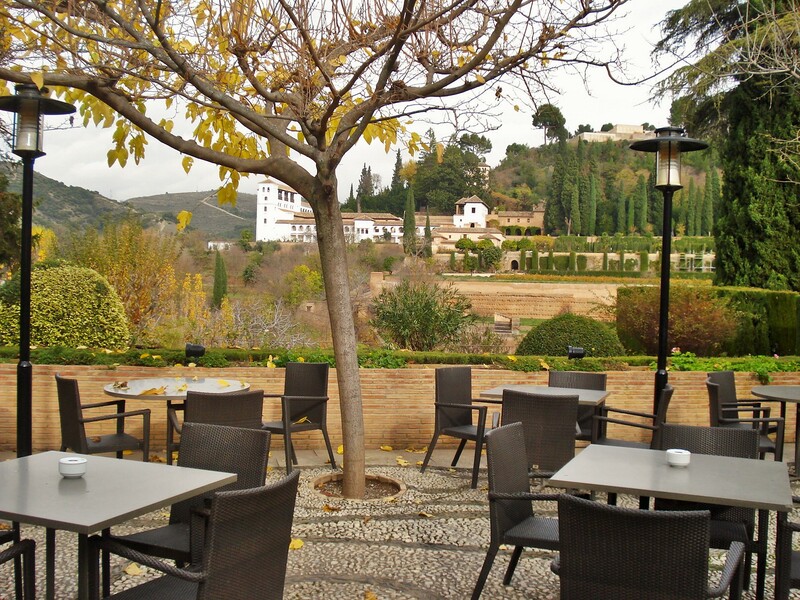 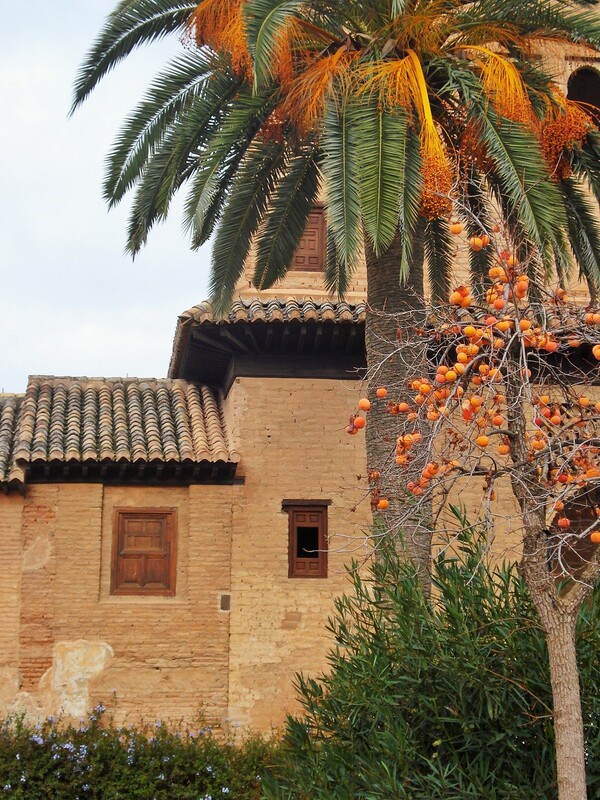 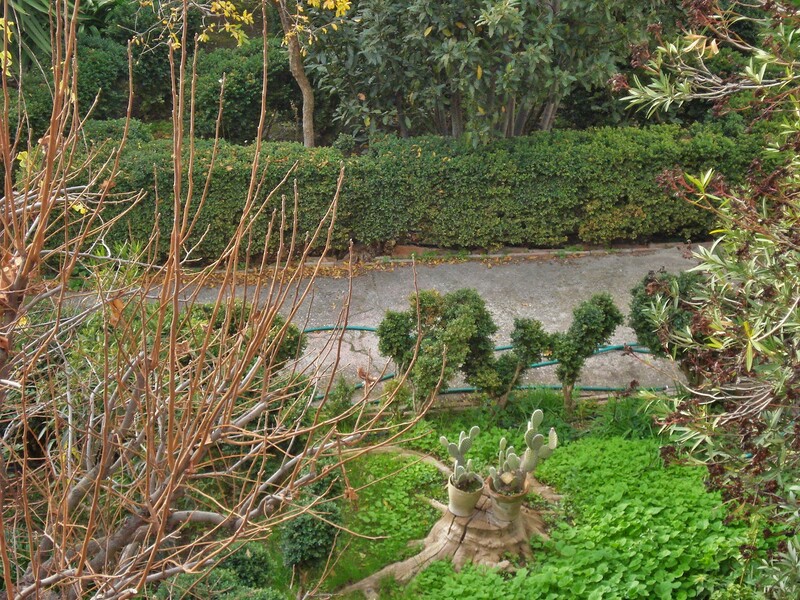 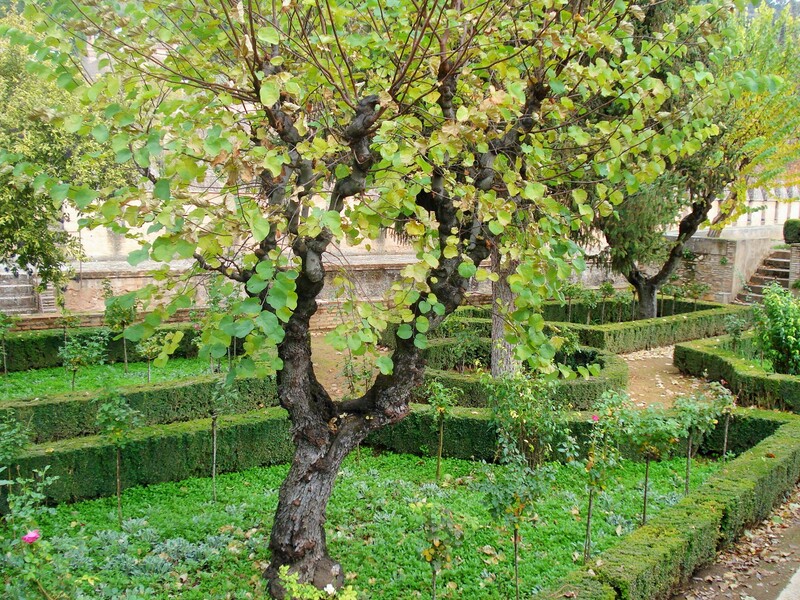 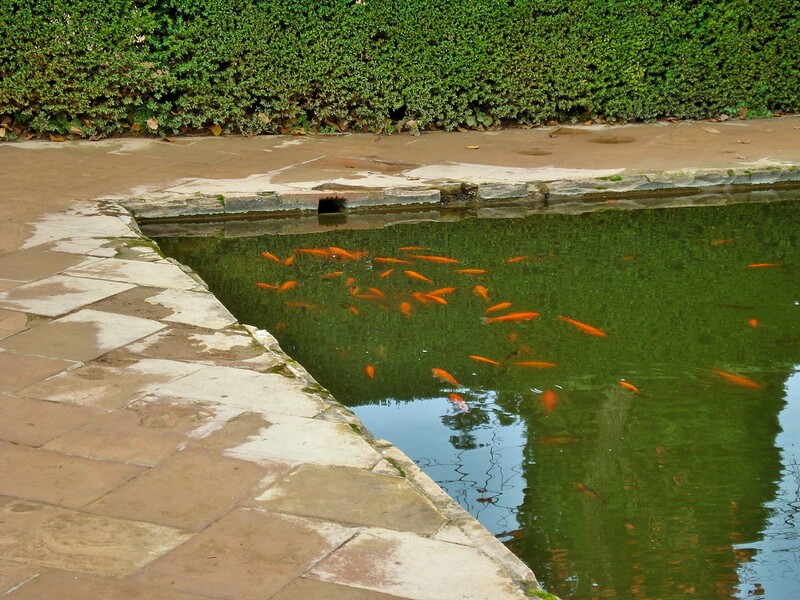 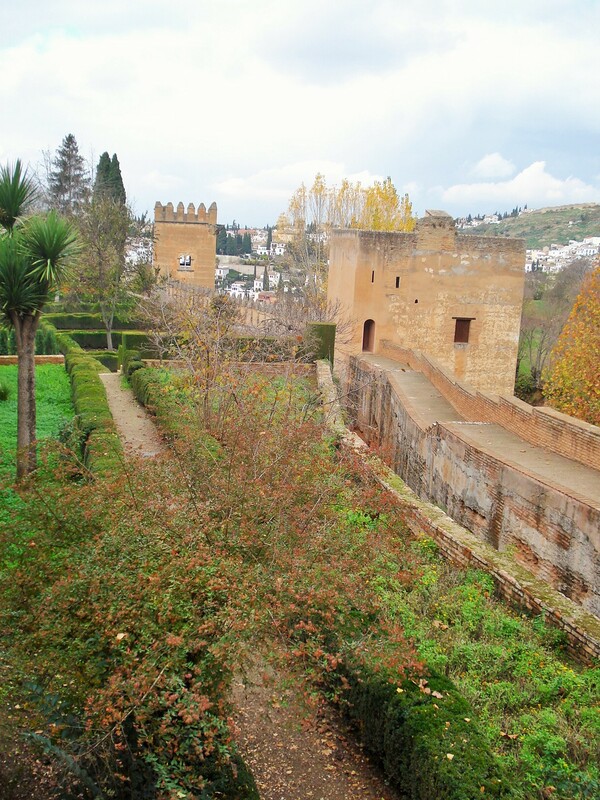 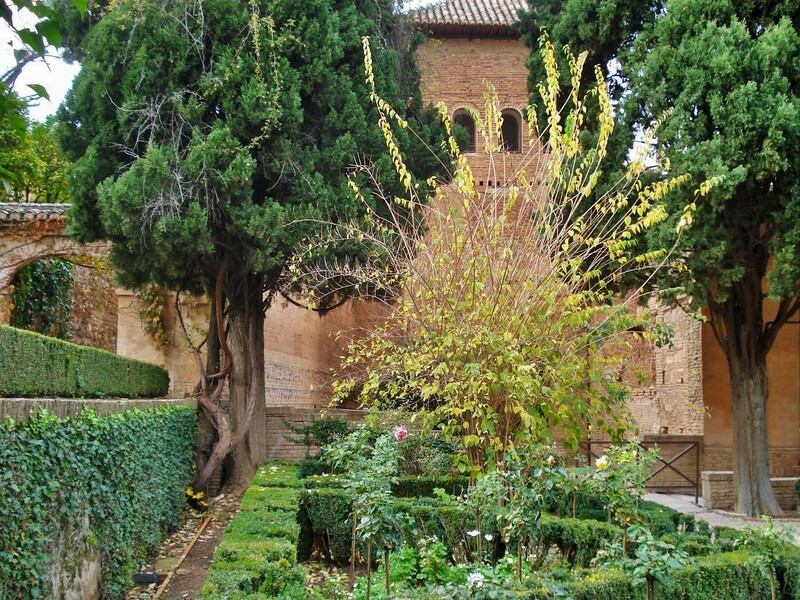 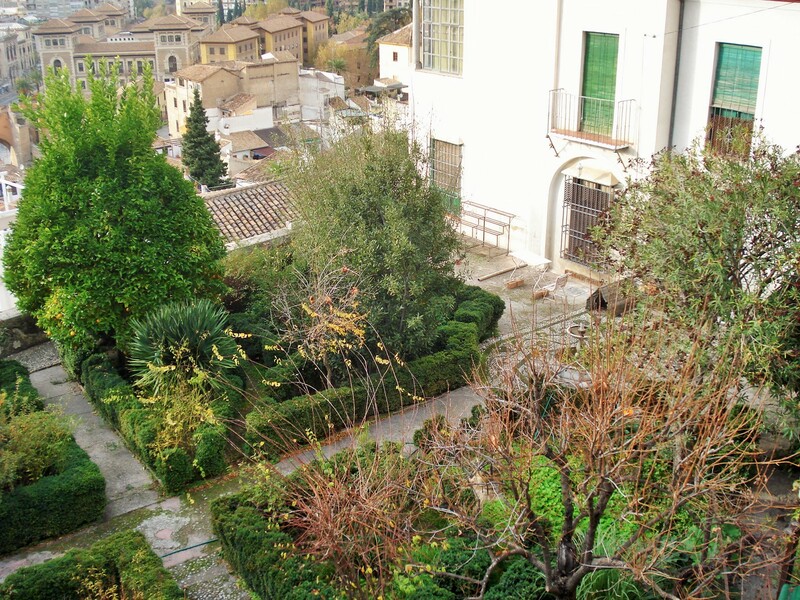 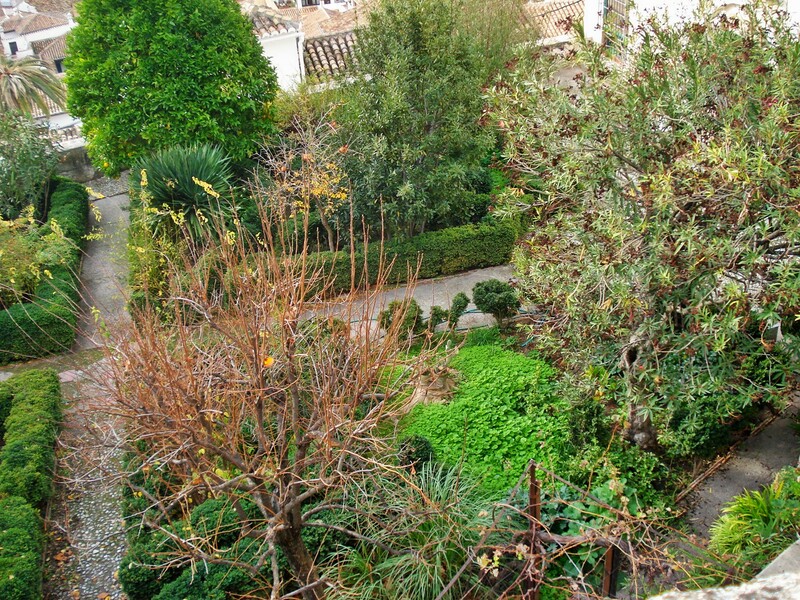 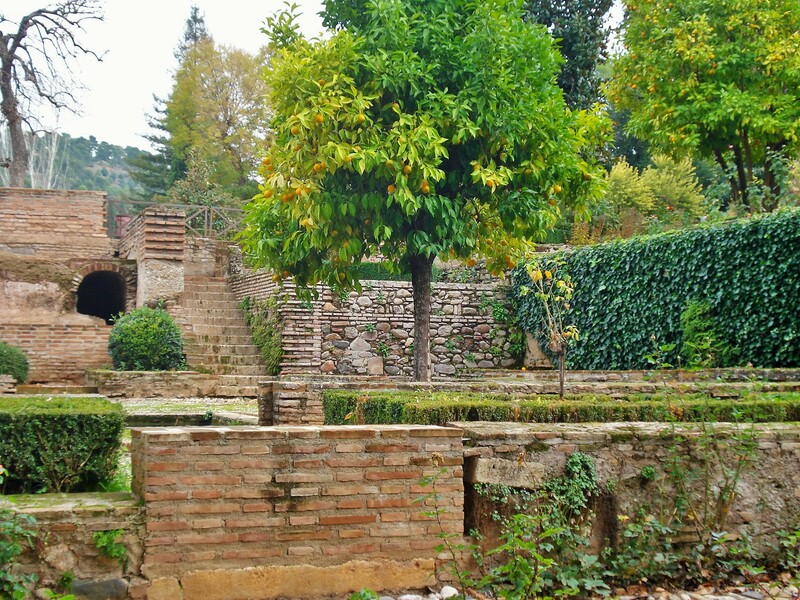 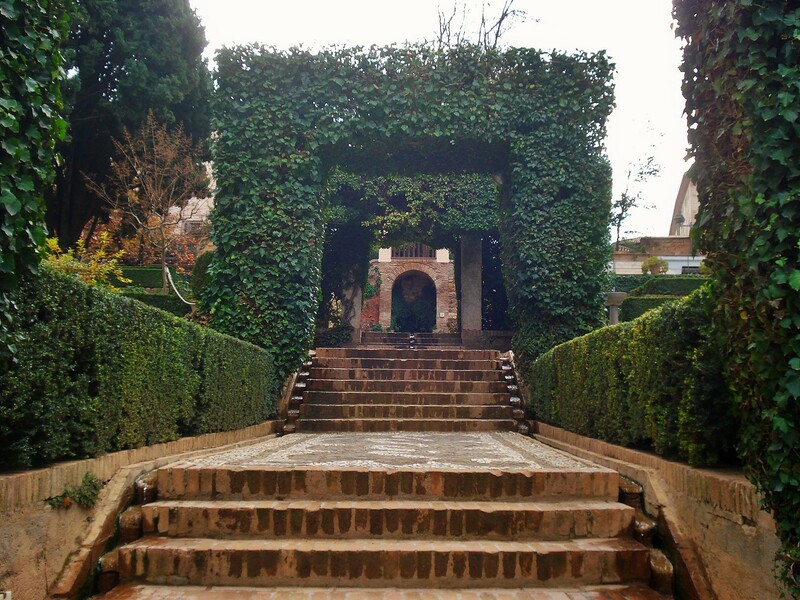 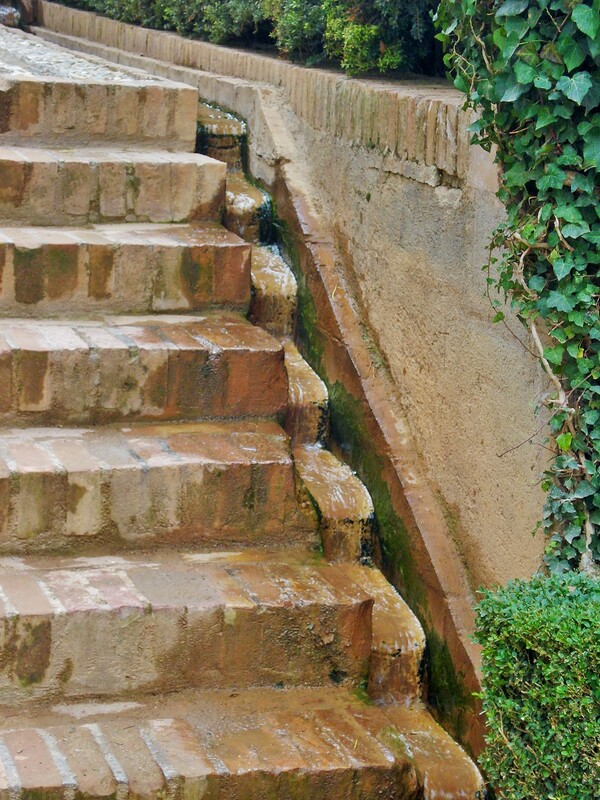 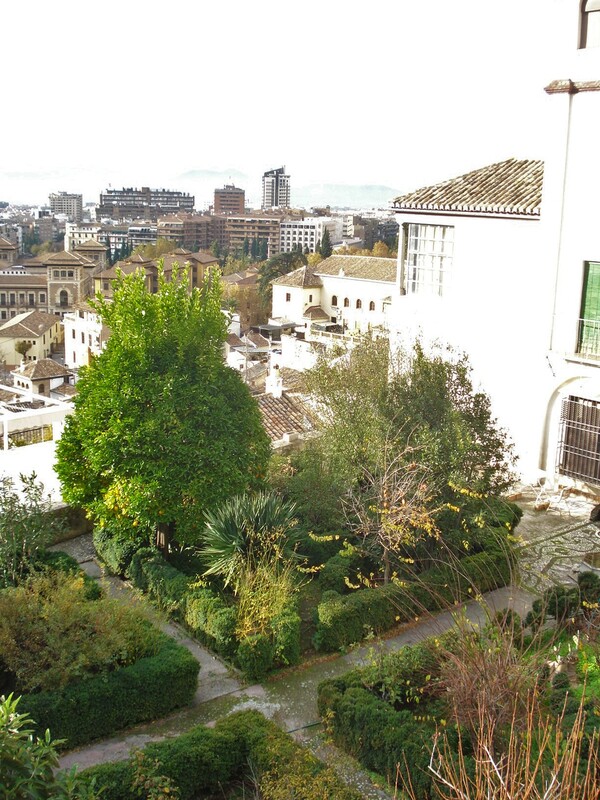 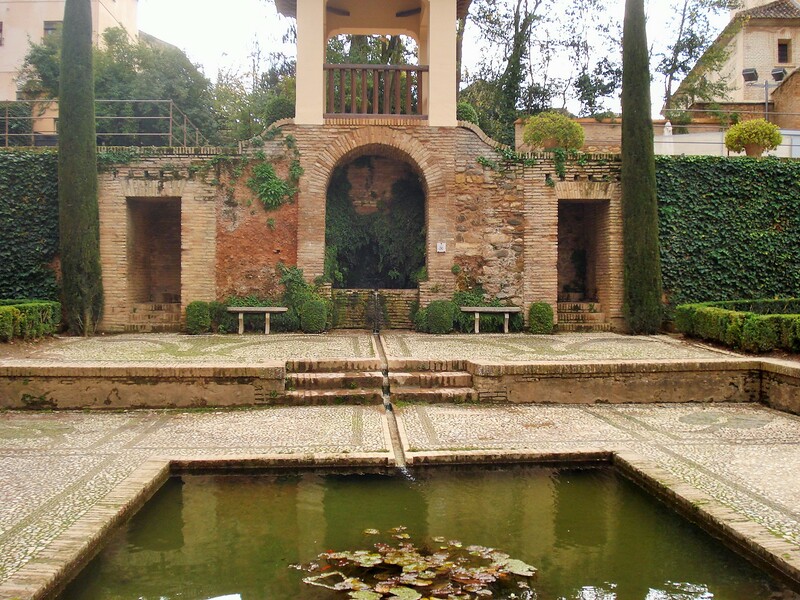 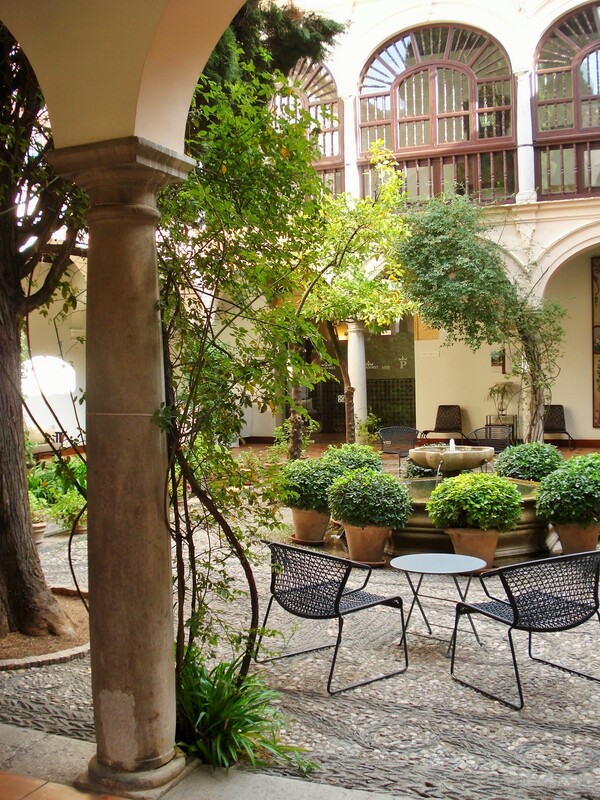 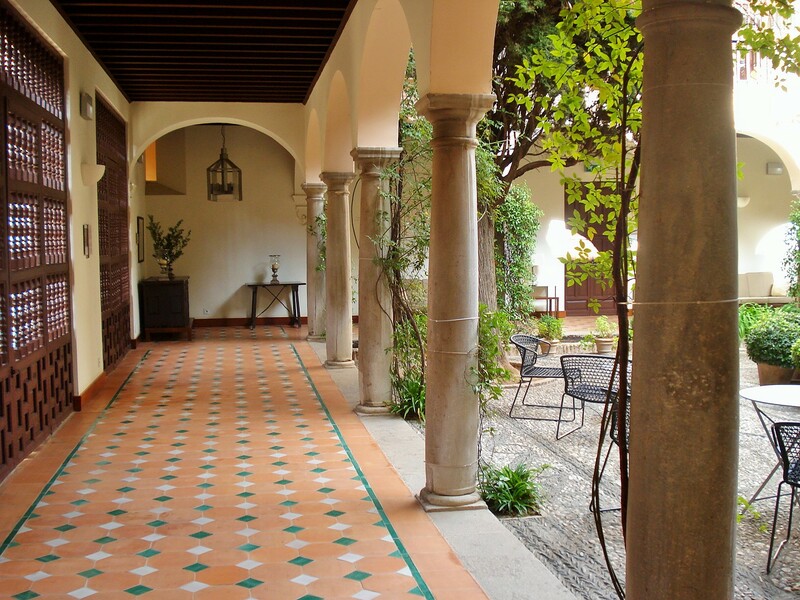 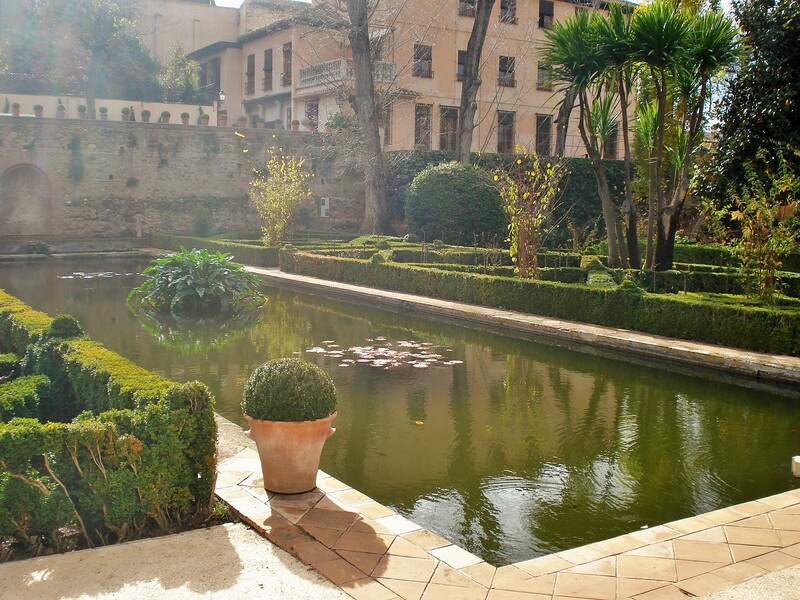 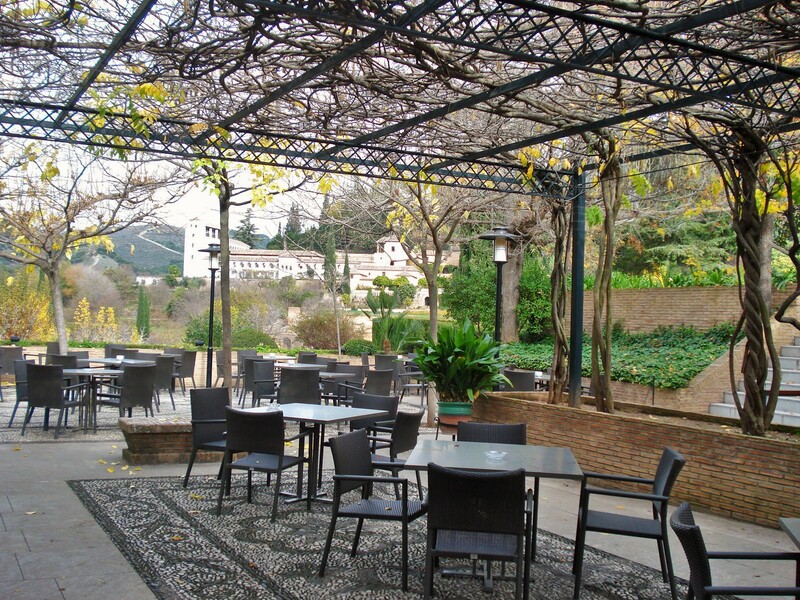 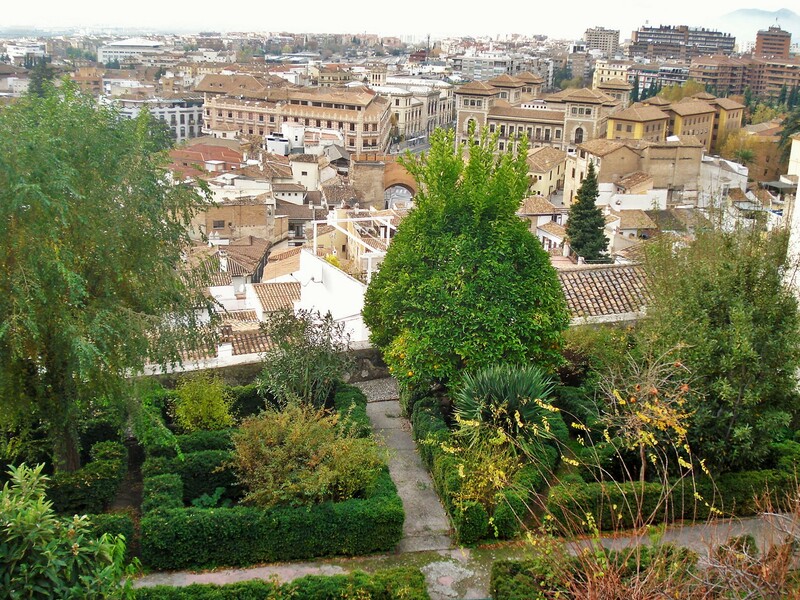 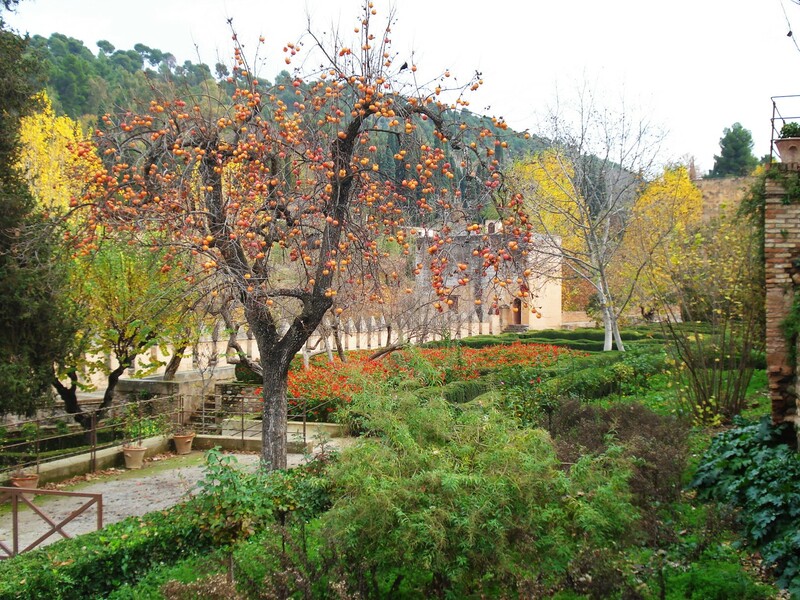 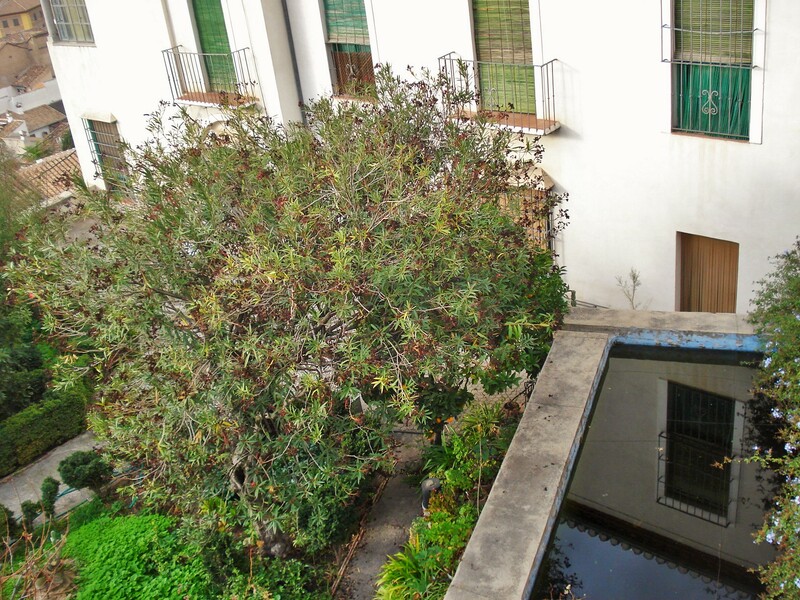 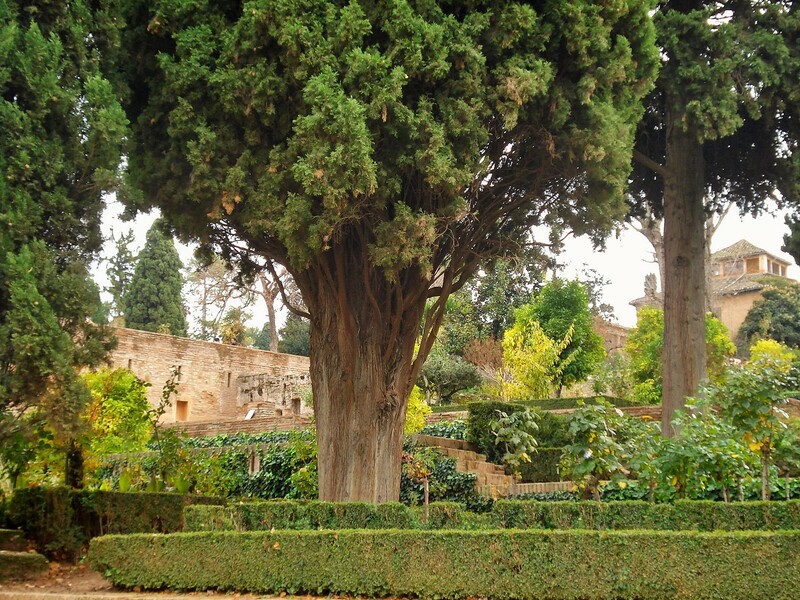 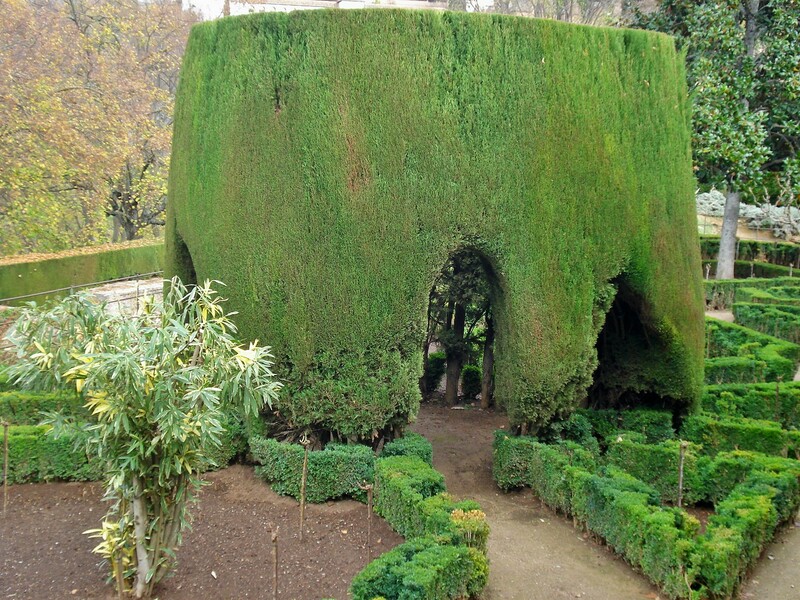 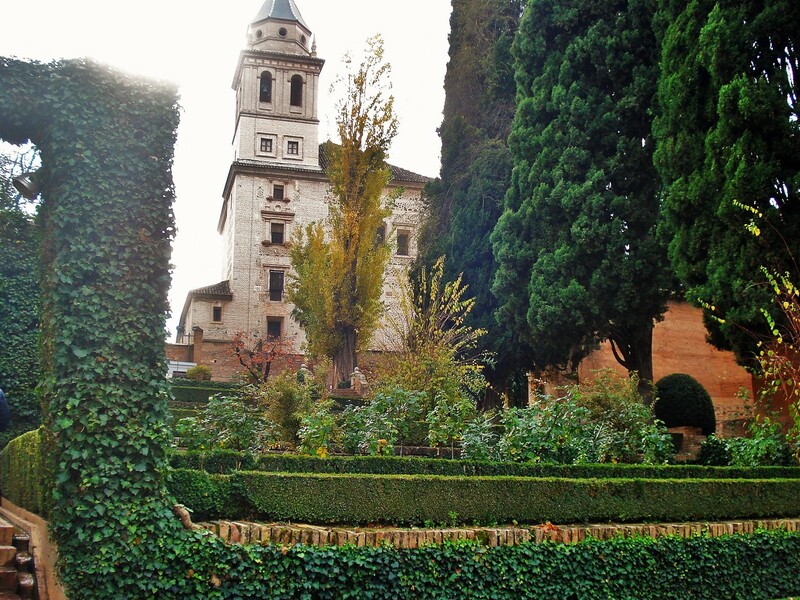 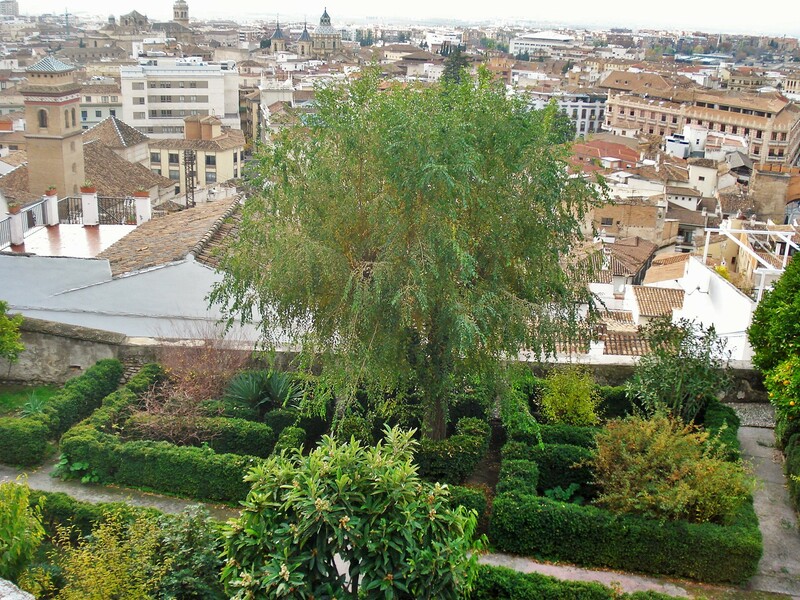 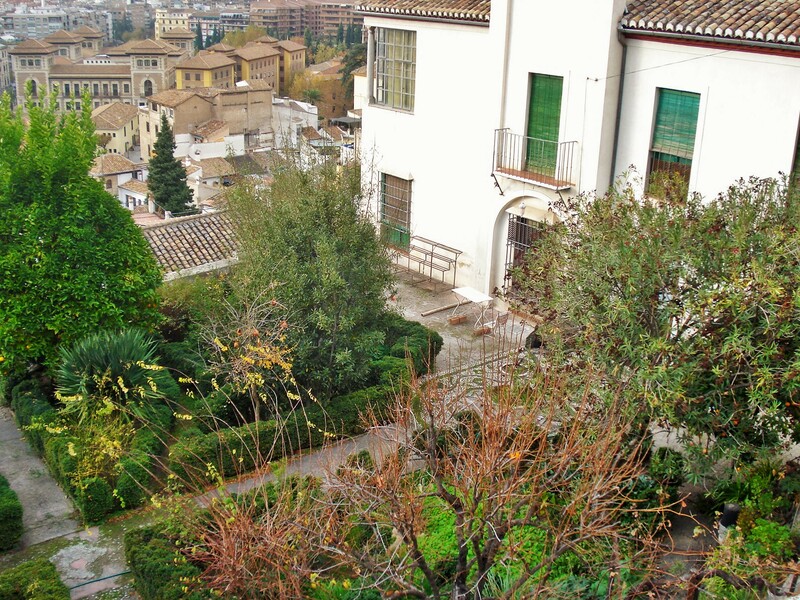 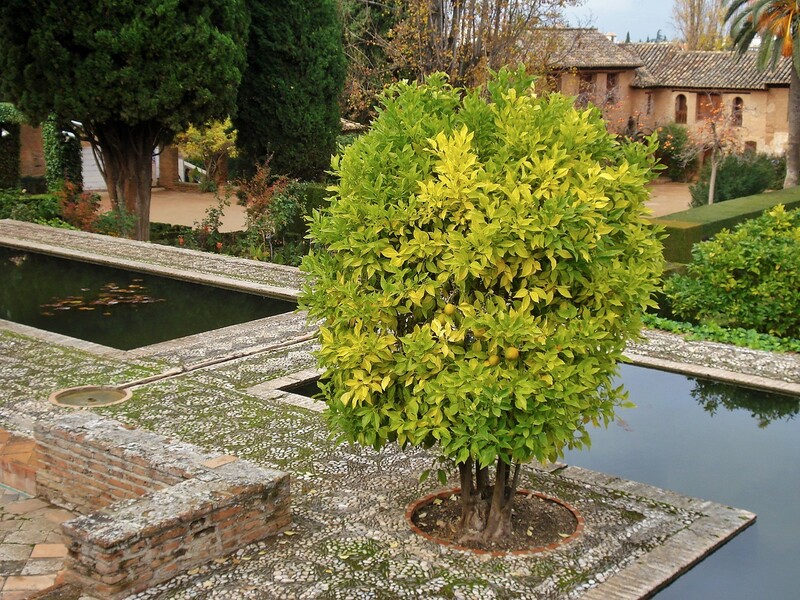 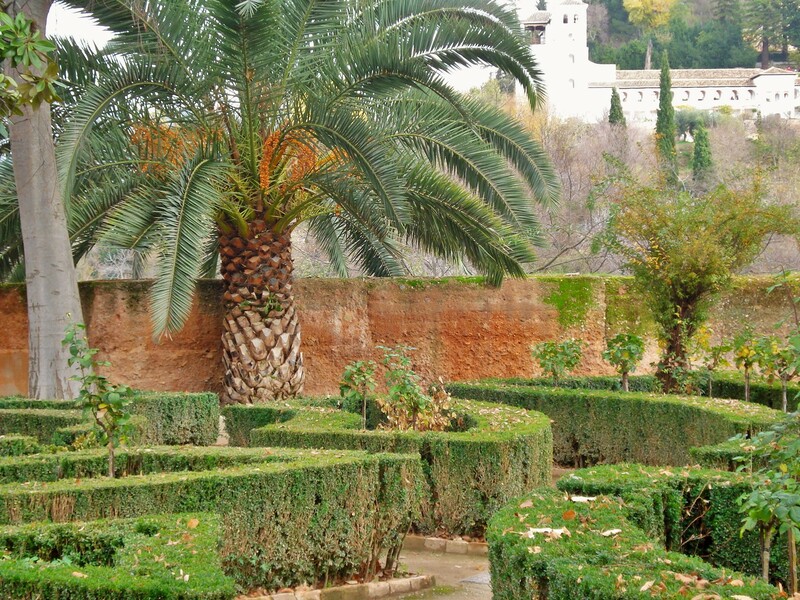 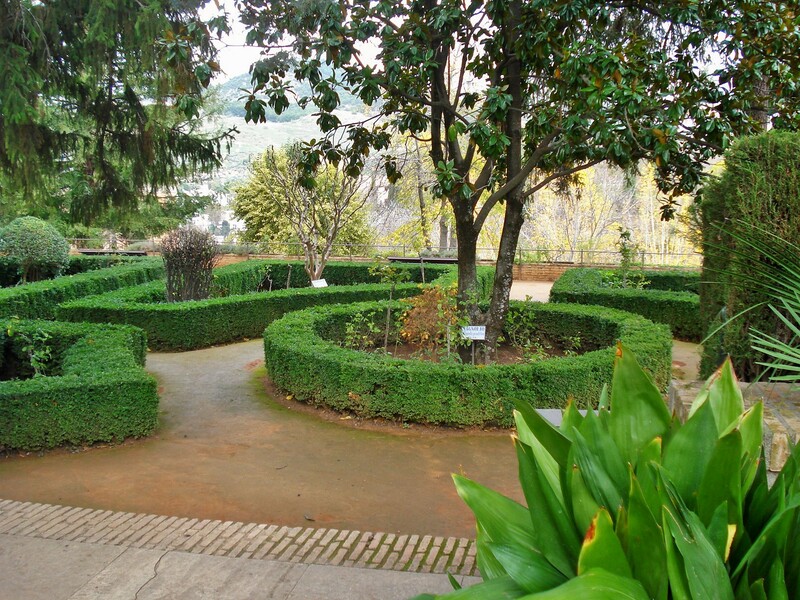 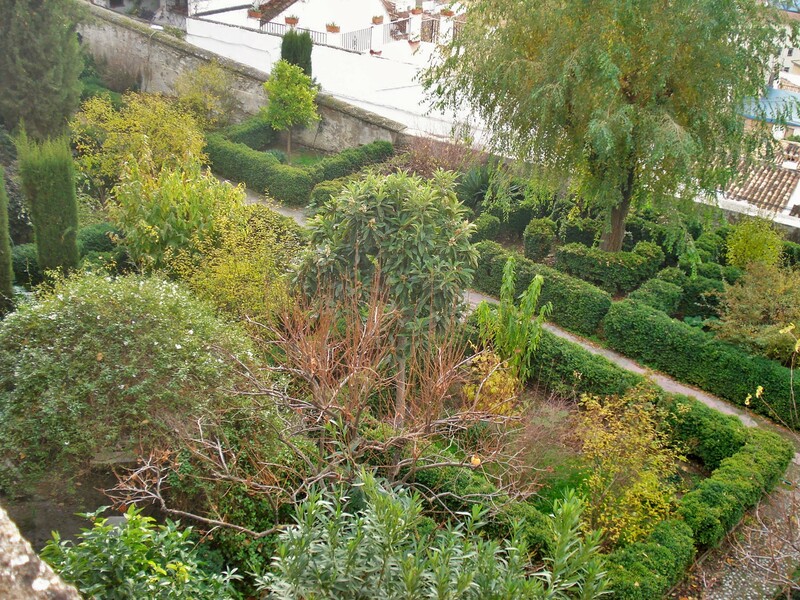 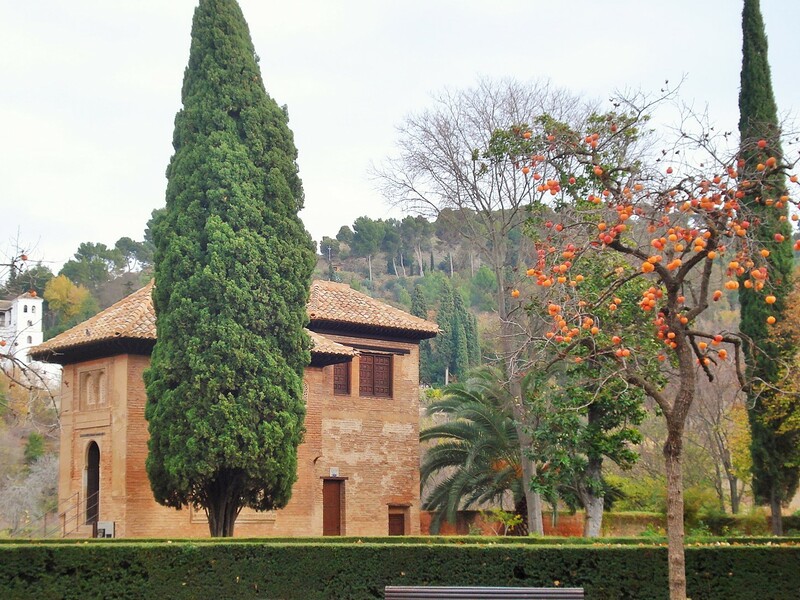 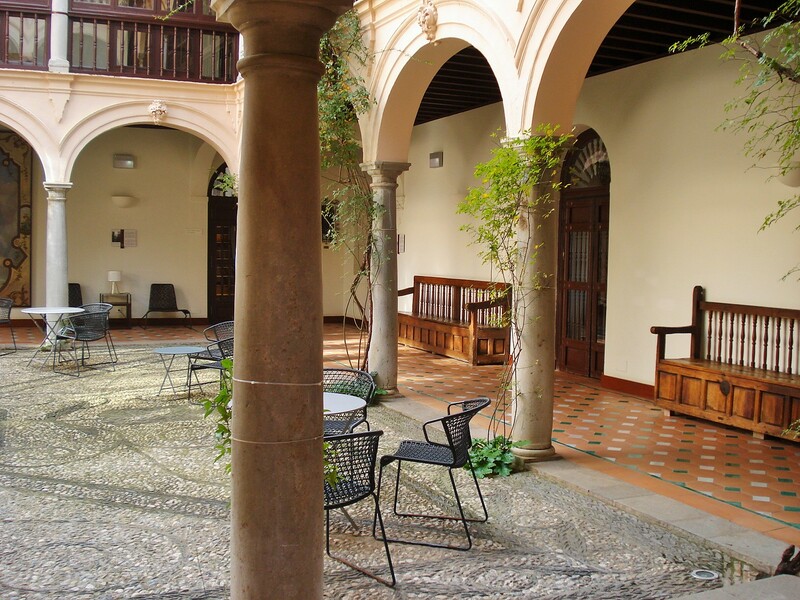 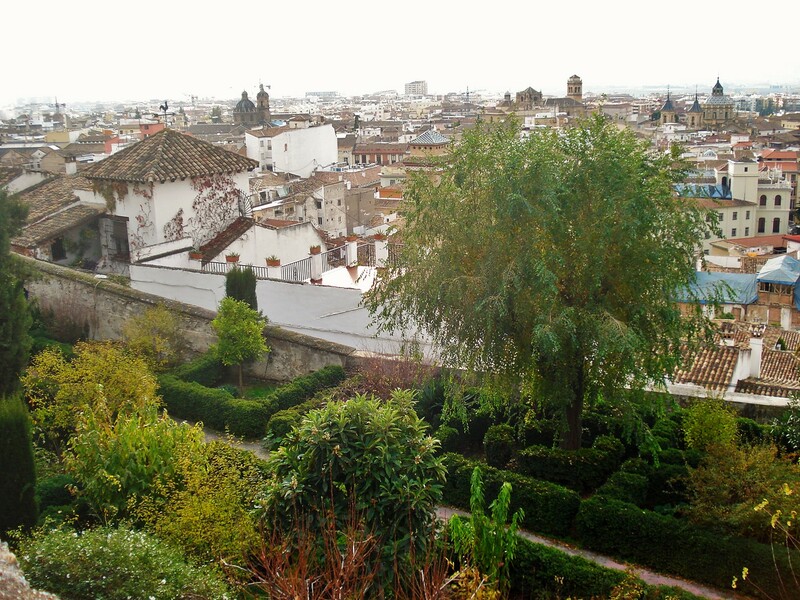 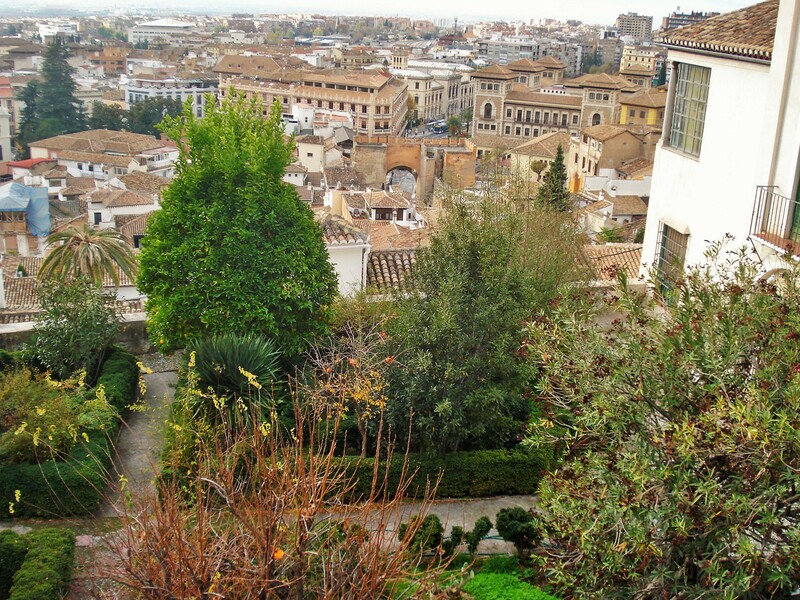 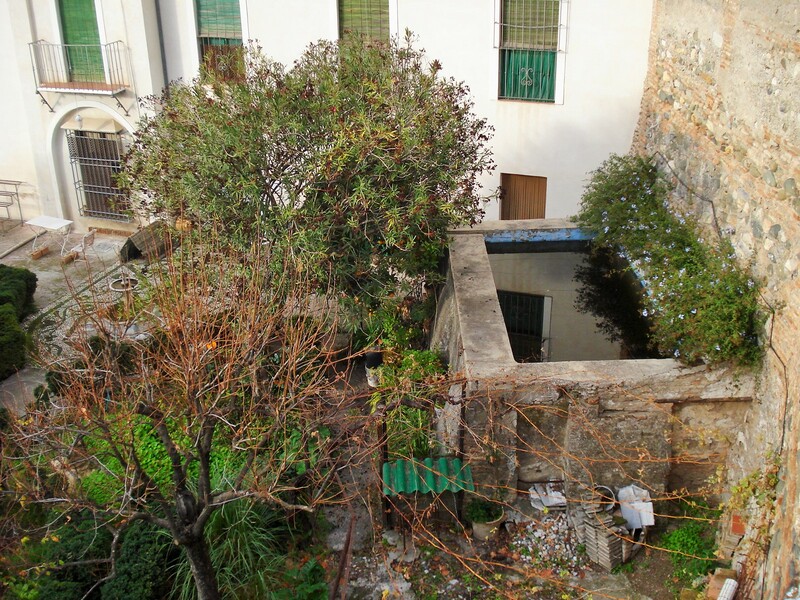 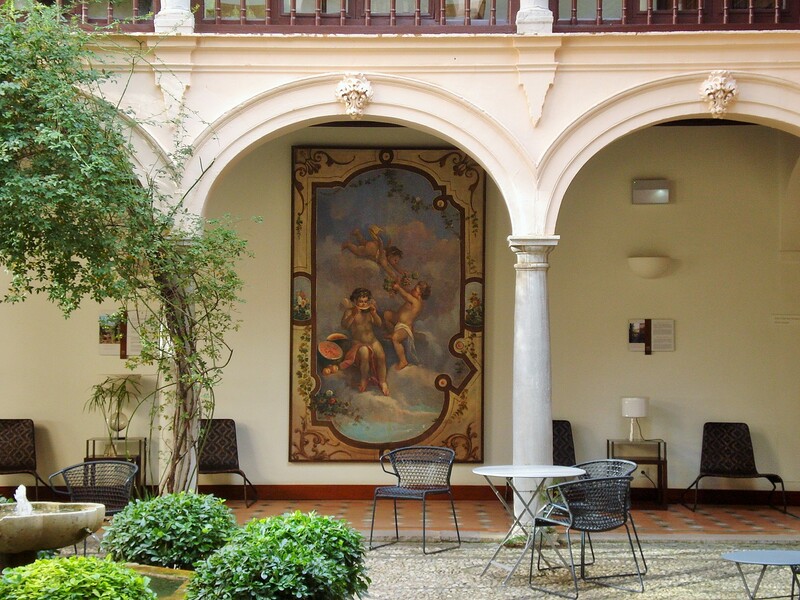 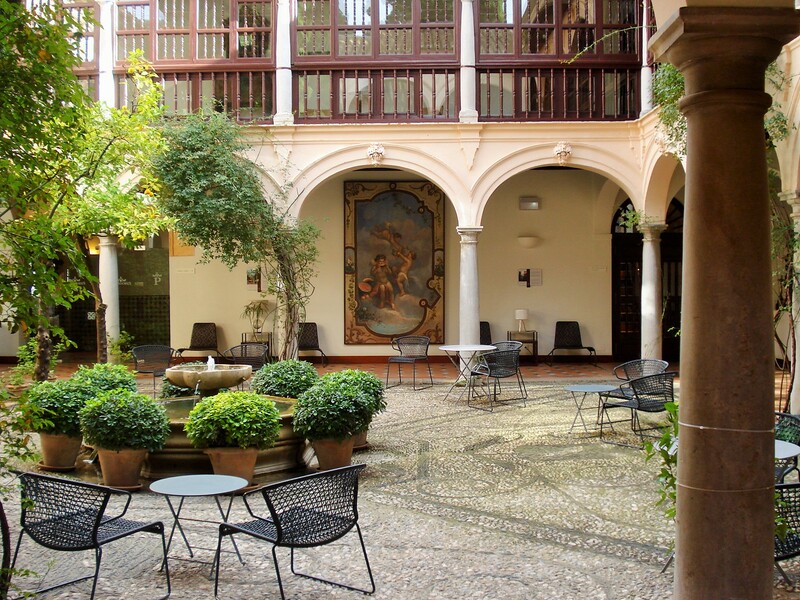 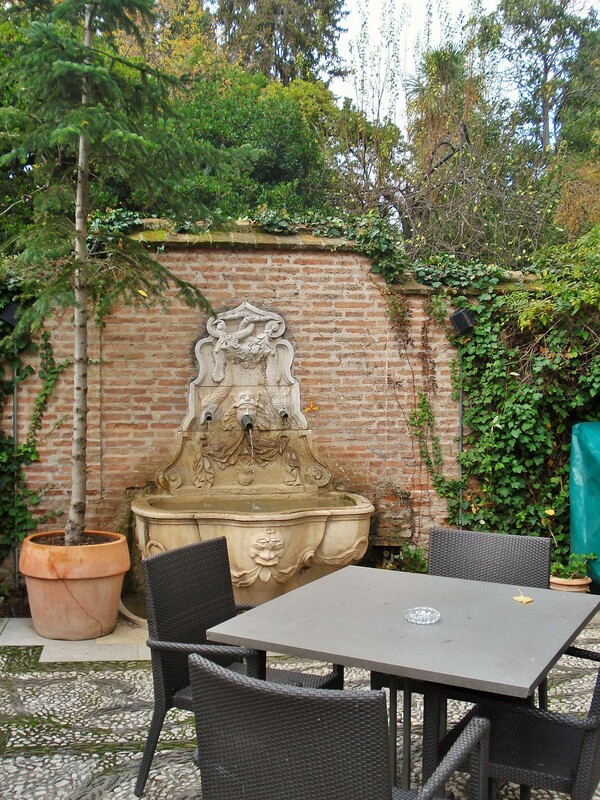 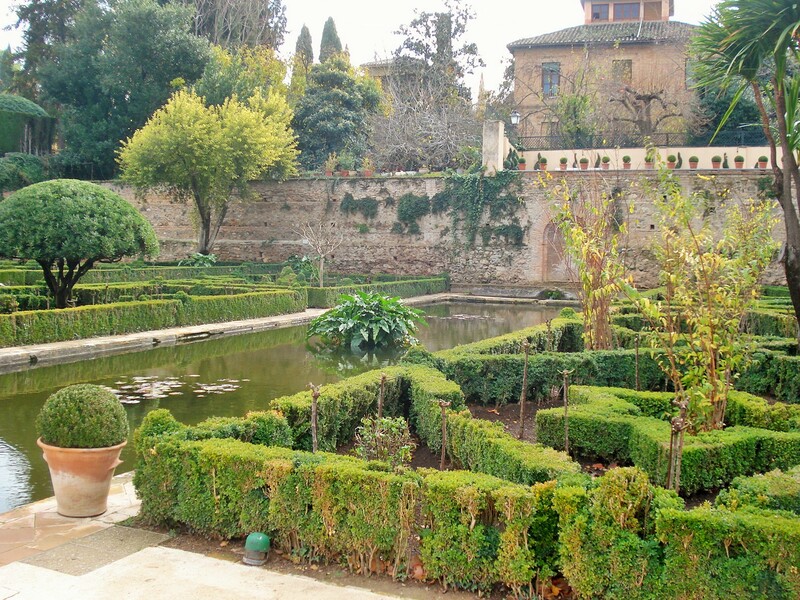 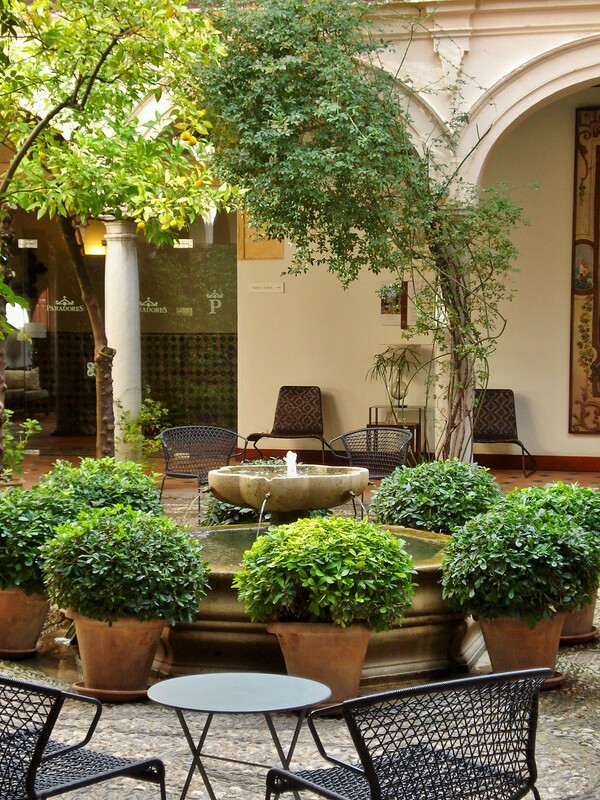 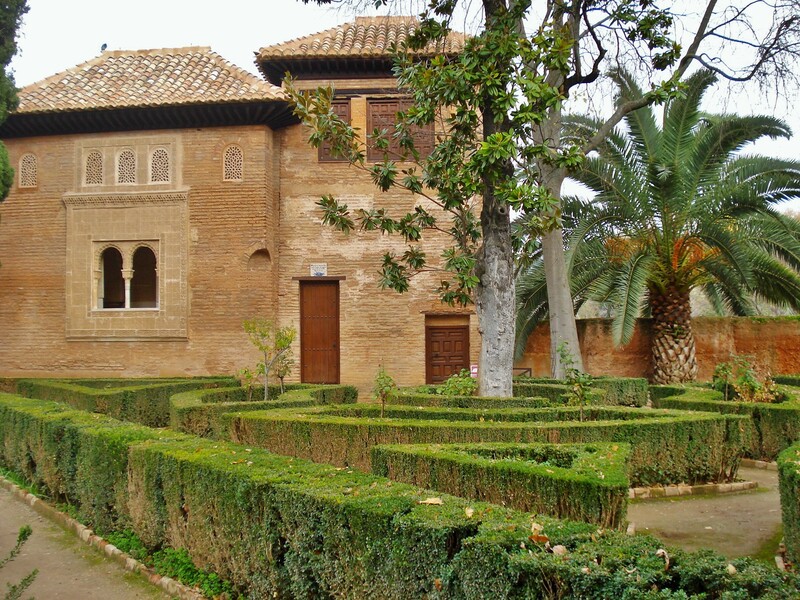 To the side of the Parador are a series of terraced patios overlooking the Alhambra gardens. 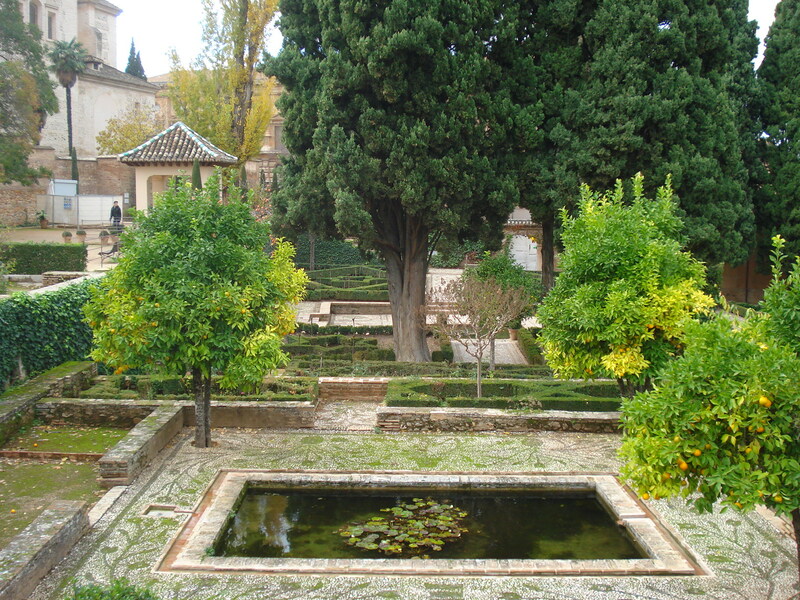 Note the pergola, patio flooring designs typical of Andalusia and the ornate fountain.